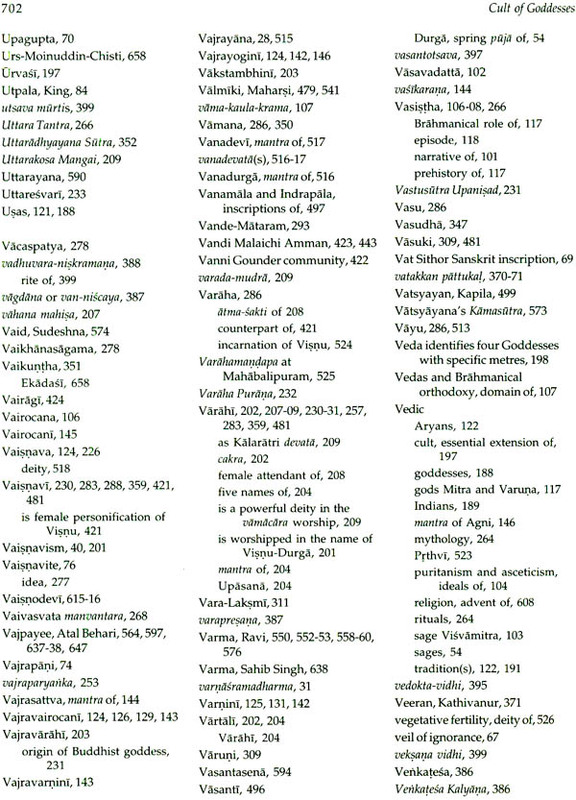 This volume is comprised of forty-one well researched and illustrated papers on Cult of the Goddess. 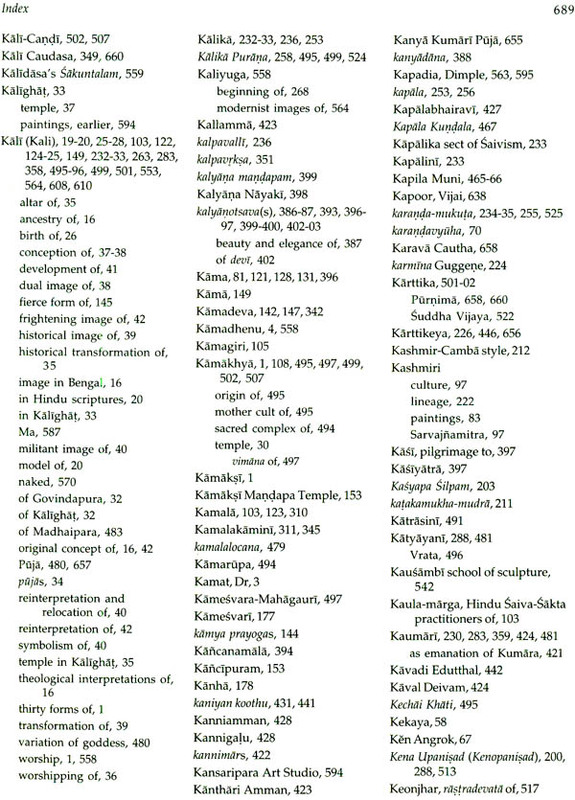 It tries to trace the origin and trajectory of the divine feminine force in art and culture for over a period of five millennia, which is a great achievement in itself. 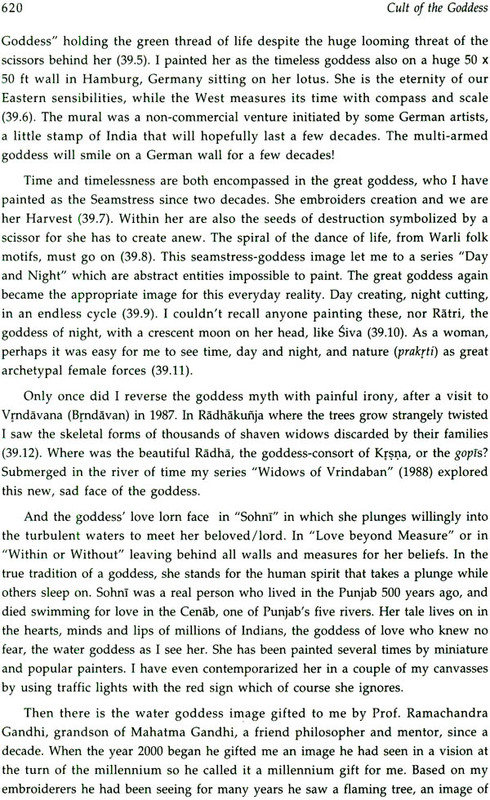 While exploring the living tradition of the Great Goddess, the book offers unique insight to the psyche of India and the Greater India. In the multifaceted goddess cult, the goddess takes diverse forms in her role as a destroyer of demonic forces and a donor of boons to her devotees. The goddess is also the divine consort, creator of the universe, source of progeny, prosperity and immortality. In her numerous roles the goddess maintains the equilibrium and sanctity of the universe. 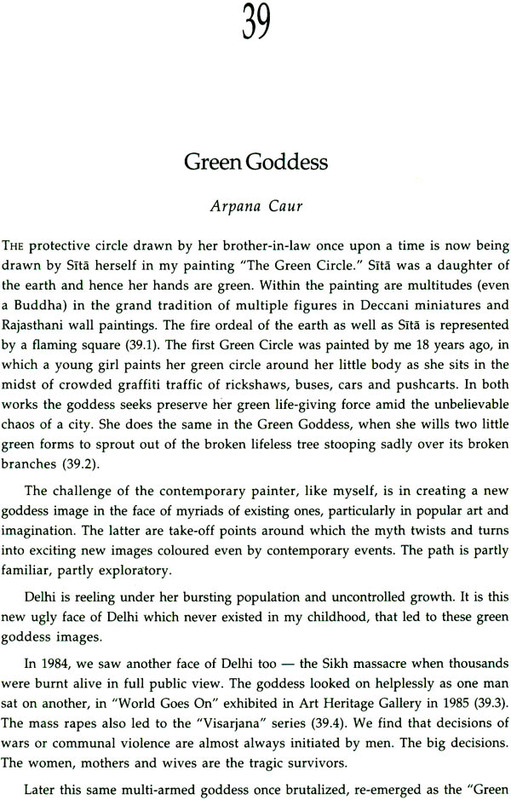 In mythology, the Mother Goddess is worshipped as the earth, fish, snake, tree or the forest. 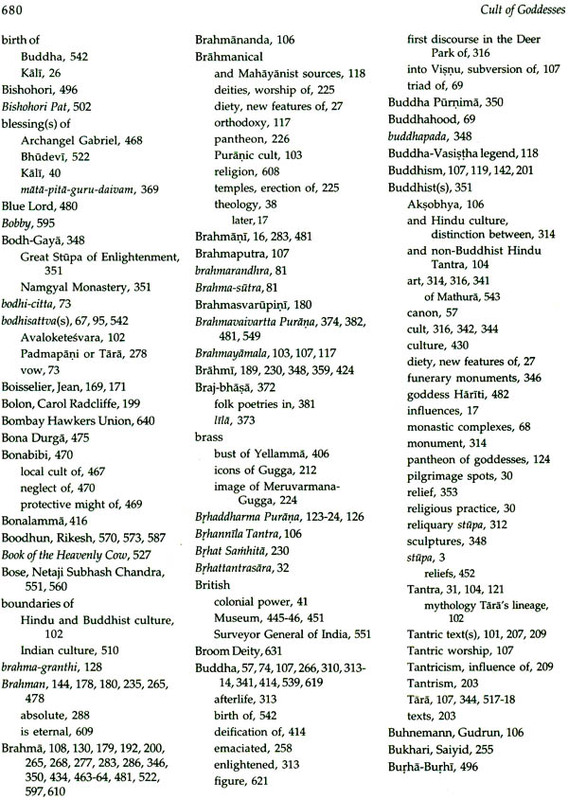 The book delves deep into the imagination and religious lives of the people to understand the meaning of rituals, philosophy and metaphysics. 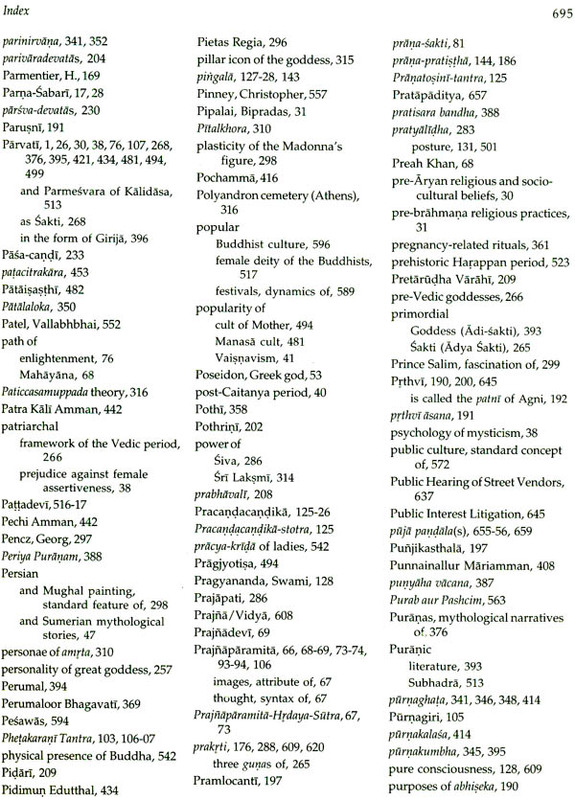 The enduring appeal of the goddess in folk traditions and in classic literary sources is discussed from various points of view. 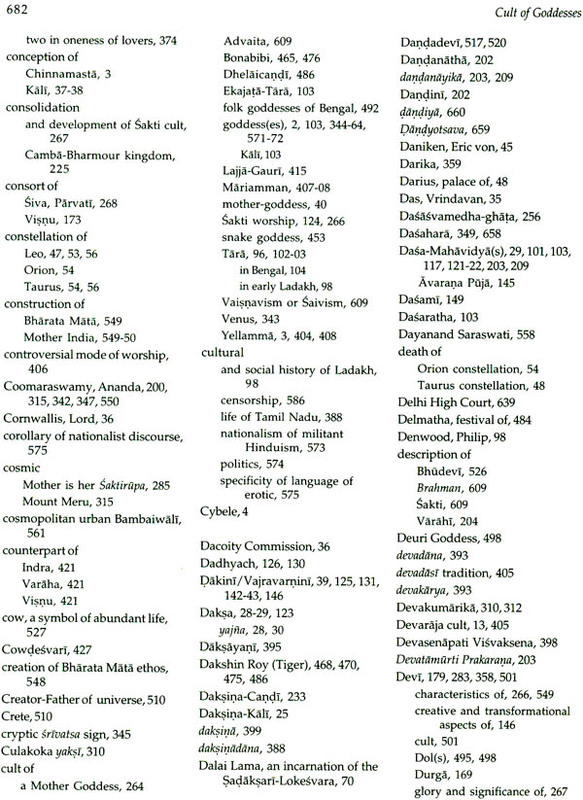 The span and the depth of research encompassing the goddess include the shifting changes in the present era and finds her manifestations in Bonabibi, Kadamkottu Makkam and Manusi Swaccha Narayani, in addition to the well-known concept of Parasakti, Laksmi, Sarasvati, Durga, Mahisasuramardini, Prajnaparamita, Hathor, Isis and Mother Mary. 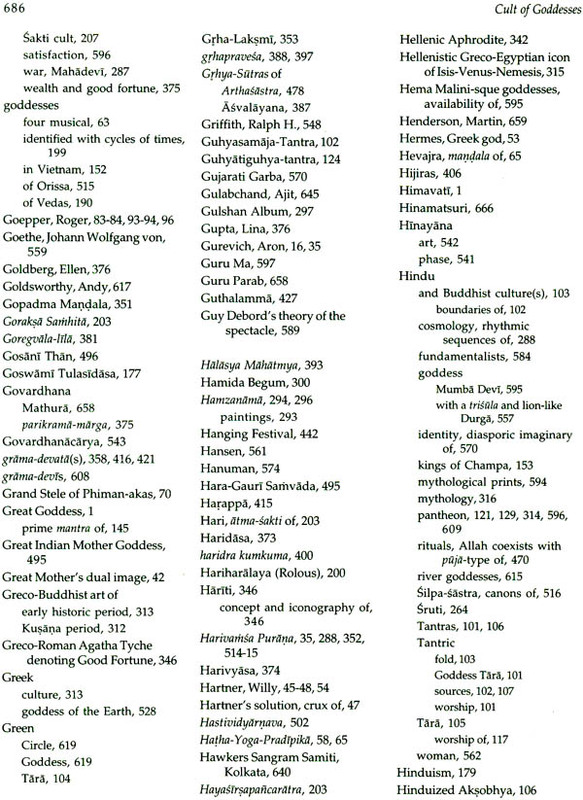 This richly illustrated volume on Cult of the Goddess is a rare and priceless collection for art historians, researchers, students, and others interested in art, culture and religion. Prof. ArputhaRani Sengupta is former Head of Department of History of Art at the National Museum Institute in New Delhi, India. She graduated from Stella Maris College, University of Madras and holds a doctoral degree from Rabindra Bharati University, Kolkata. 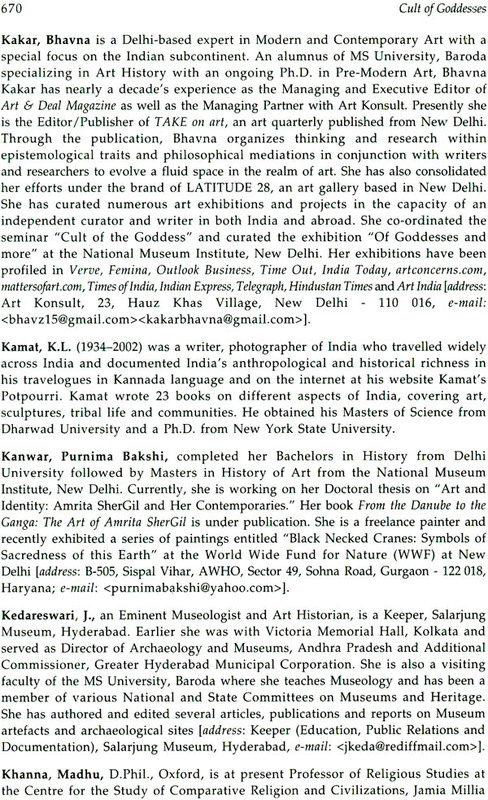 She has taught postgraduate level art history for over thirty years and has served under the Ministry of Culture at the National Museum Institute (Deemed University) from 1996 to 2010. 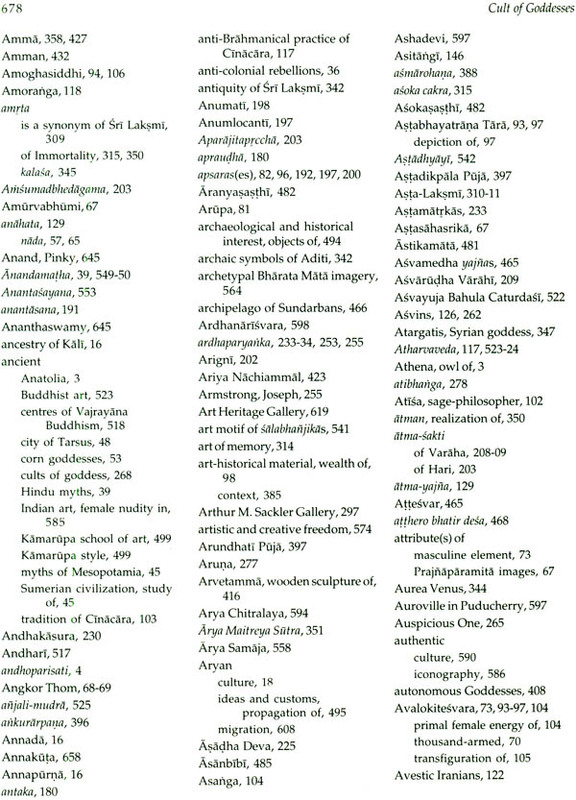 Her research focuses on the unique position of Indian art at the crossroads of cultural exchange during the Roman Empire. 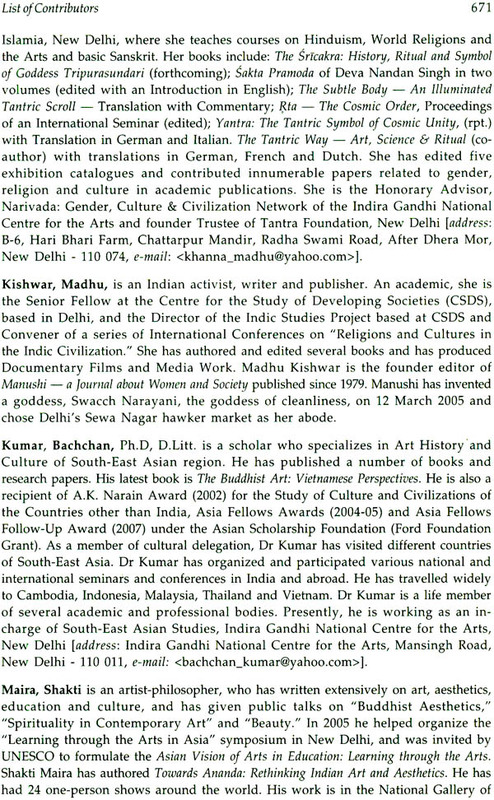 She has worked extensively on Buddhist material culture, synchronal to the Kusana period. 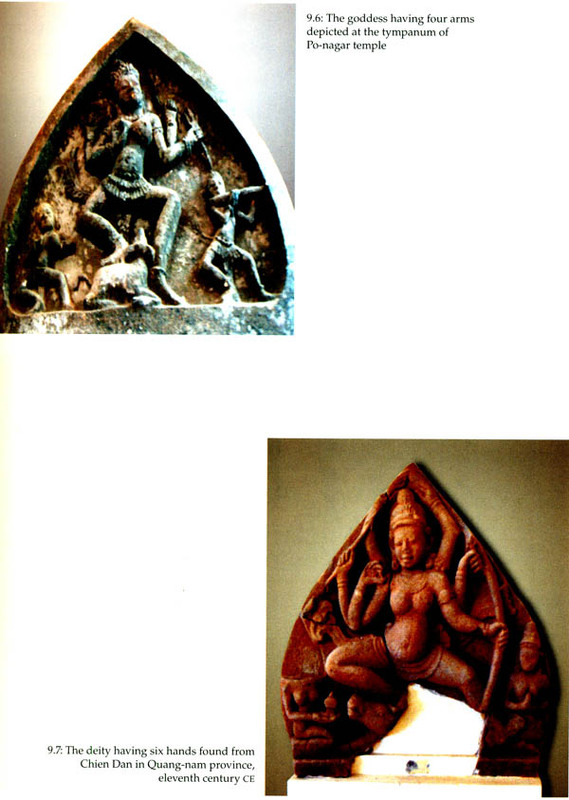 Her research publications include Art of Terracotta: Cult and Cultural Synthesis in India (2004), Manimekalai: Dancer with Magic Bowl (2005) and Buddhist Art and Culture: Symbols & Significance (2 vols. 2013). 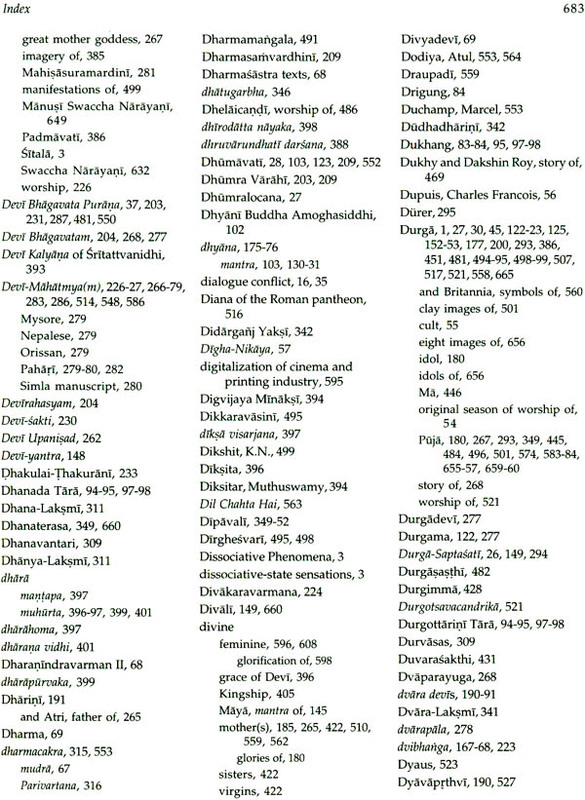 Her book Kailasanatha Temple: The Realm of Immortals (2009) is an extension of her graduate thesis on Architecture and Sculpture of Kanci Kailasanatha. 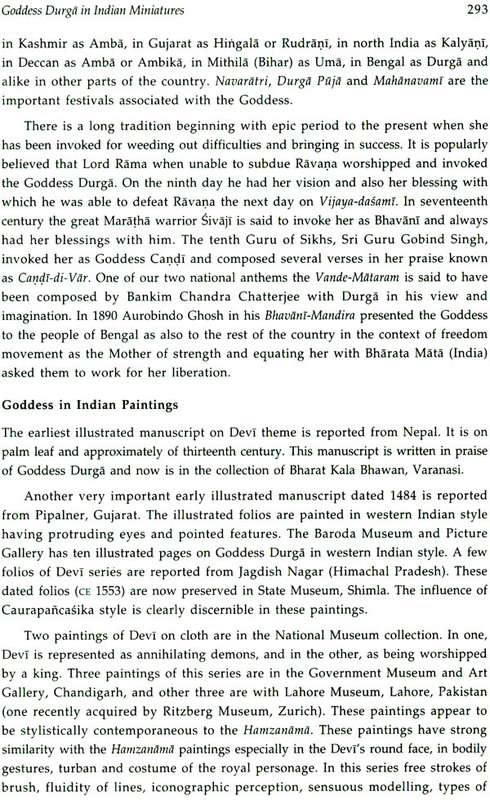 God & King: Devaraja Cult in South Asian Art and Architecture (2005) edited by ArputhaRani Sengupta is prelude to Cult of the Goddess (2014), both proceedings of symposiums organized by her at the National Museum Institute. Her forthcoming books Jewellery: Buddhist Reliquary Cult and Silk Road Fabrics: The Stein Collection in the National Museum of India were researched through the assistance of the Ministry of Culture, Government of India (2001-03) and the Indian Council for Historical Research (2004-06). 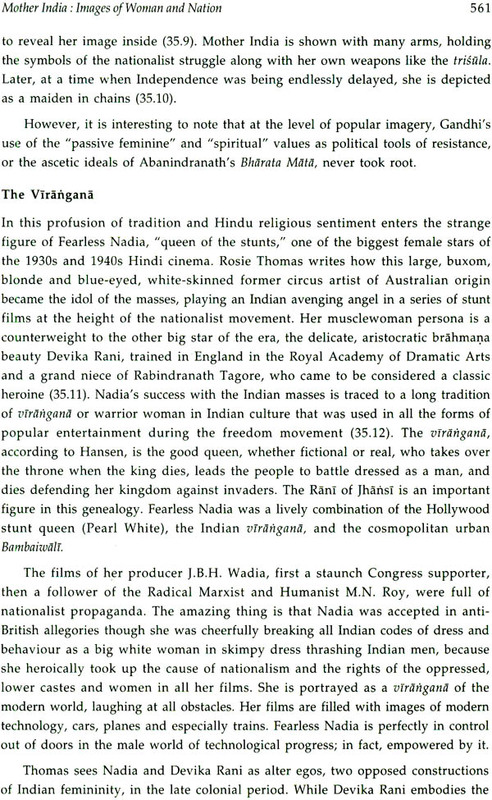 Cult of the Goddess is the result of a national seminar organized by the Department of History of Art in 2005 - a sequel to a symposium on Devaraja Cult in 2002. 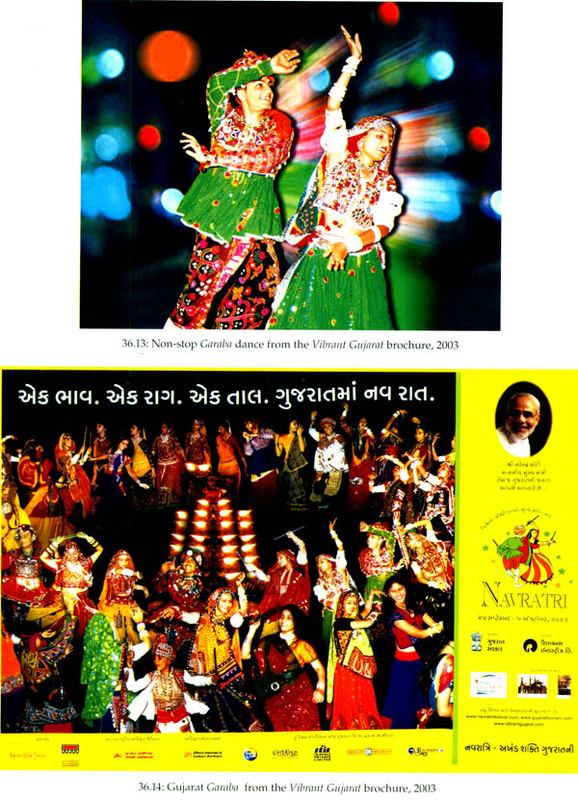 The proceedings provide welcome exploration of the Great Goddess as she lived, and still lives, in India and in the Greater India. Although the Great Goddess can be found in religious texts and temples, mythology and living cult practices provide unparalleled scope to view the wisdom and mystery that surrounds the number of apparently distinct goddesses. 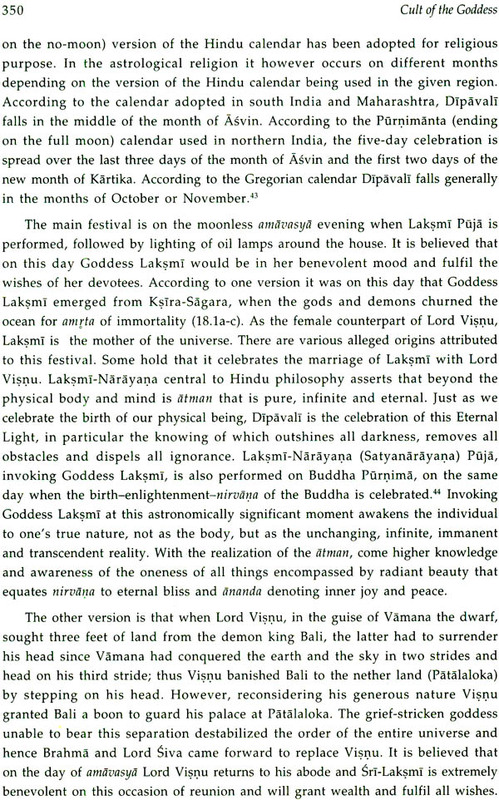 A serious academic discourse on the complexity of the goddess has generated overwhelming response at national and global level so that her fascinating manifestations have increased beyond the two-day deliberations. The multi-layered goddess cult may represent the most impressive achievement in art and culture. 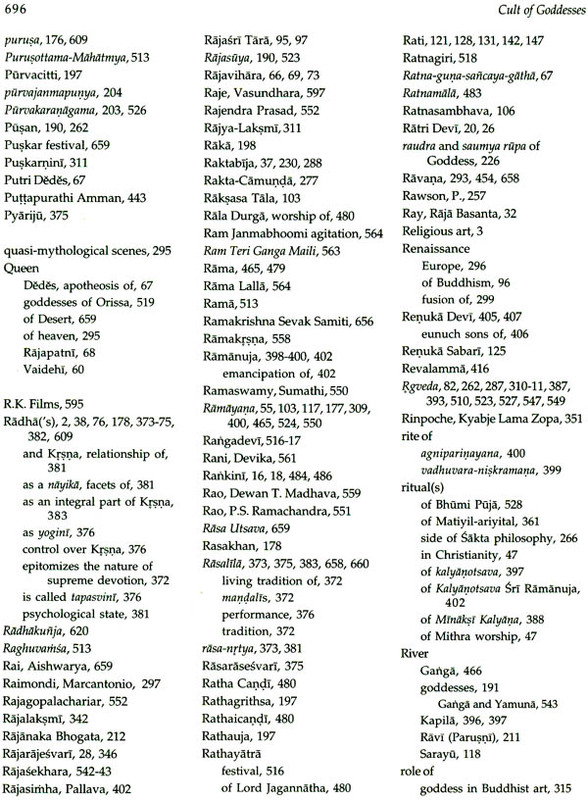 The forty-one essays on the cult of the Goddess are divided under Historical and Literary Tradition, and Contemporary and Folk Tradition. The clarity of structure provides serious academic discourse revelling in the complexity for its .own sake. 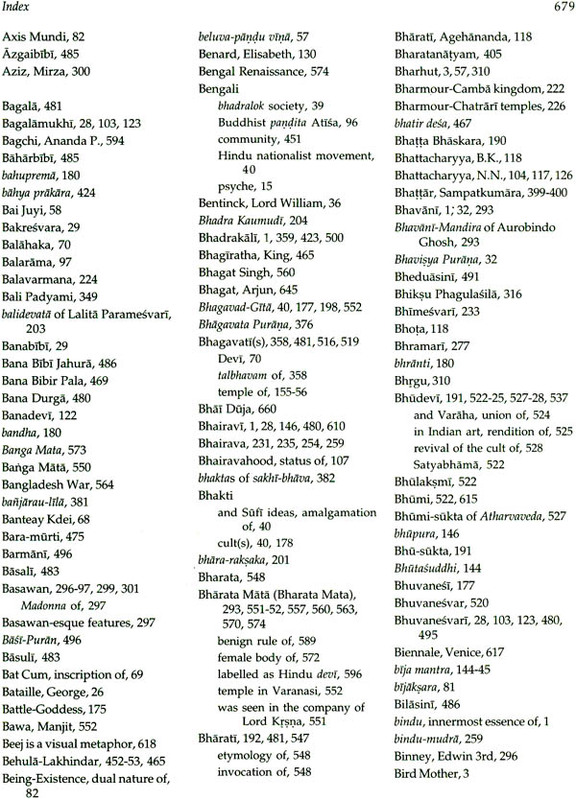 The extraordinary diversity is accepted under the umbrella of Hinduism and Buddhism. I congratulate Dr Kalyan Kumar Chakravarty and Prof. ArputhaRani Sengupta for providing the forum for the discourse on the Goddess as valued intellectual pursuit and taking it forever beyond intellectual study. 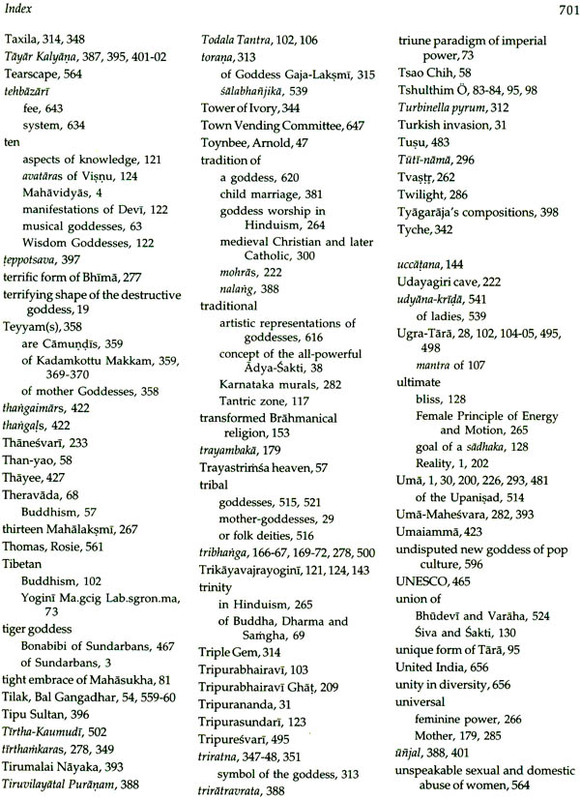 In the cult of the Goddess ritual practice is integrated in a context loaded with metaphysics and philosophy. The publication will be a welcome addition to scholars who will willingly explore psychic realms through not entirely unfamiliar rituals that must be witnessed and experienced. 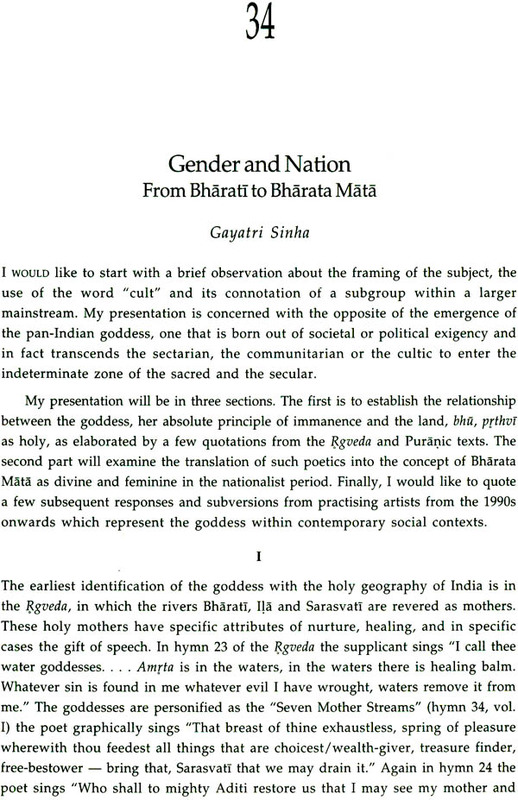 The conference on the Cult of the Mother Goddess was not designed by us as a sop to gender concerns but to deal with certain existential problems of understanding. When Aphrodite, coming upon her sculpture cried, "alas, where did Praxiteles see me naked," she was deploring the profane eye cast on her sacred form. When Maitreyi spurned knowledge, which could only add to the sum of mortality, she was seeking knowledge of a sacred dimension of life, which had nothing to do with religion or theology. 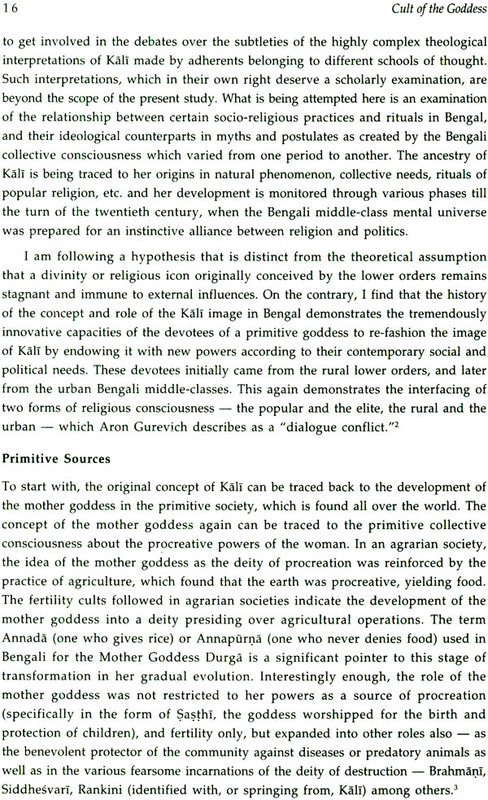 When we address the Mother Goddess cult as a continuing strand in Indian imagination, we not only question the ongoing reduction of all sacred and ecological categories to economic and production categories, but also propose to exorcise the long shadow of desacralization, technification and nihilism that darken our thresholds today. 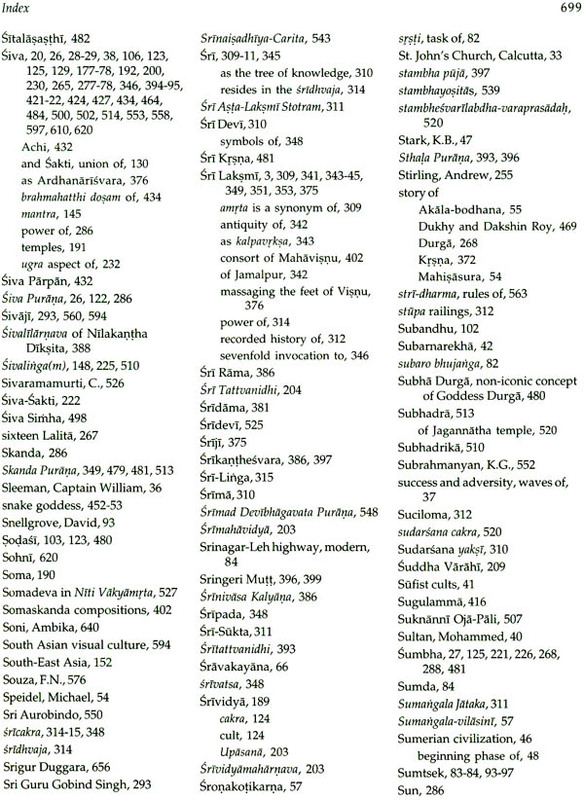 We have, as part of this mission, tried to celebrate the multiplicity of names and roles assumed by the Mother Goddess in India; her dialectical, conflictual, ambivalent nature; her function as a bridge between kinetic and passive elements in life, between ethos and pathos, samsara and nirvana; her co-option to protect the king as well as the commoner; the Asiatic ramifications of her cult, and Indian reactions to analogous European cults. In this celebration of the various universe of the Mother Goddess, the Supreme Principle, subsuming all of creation, Prajnaparamita is hailed at Ta Prohm in Cambodia as a book, a Goddess, an image, a spiritual perfection, the mother of miraculous protection in adversity. 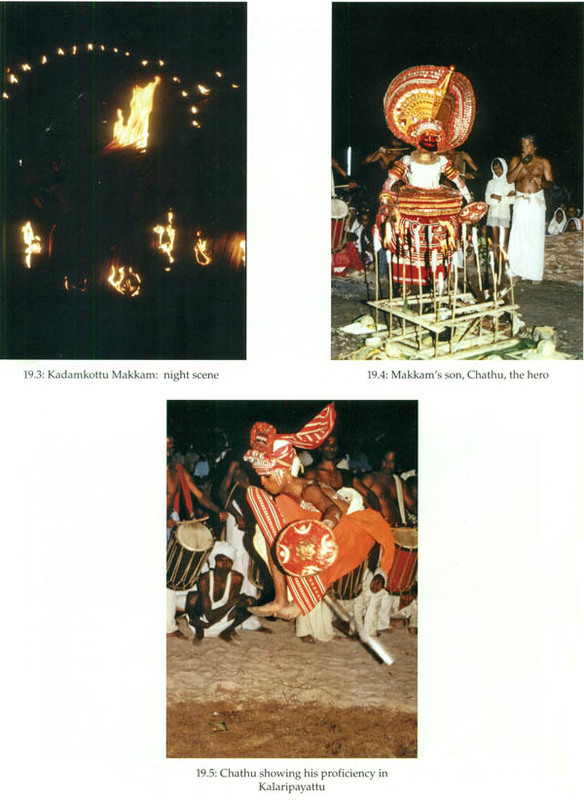 Bhadrakali is associated with about 1000 places and families, and Camundi, with about 200, under different names, in Kerala. In Tamil Nadu and Karnataka, the Mother Goddess appears as seven divine mothers, sisters, virgins or guardian deities, to offer progeny, health and prosperity. She is worshipped as Gayatri Mata, Vakdevi, Adhisthanamatrkas, Dvaradevis, Apsarases, Caturbhaginis in Vedas, Samhitas, Aranyakas and Agamas. She presides over the birth of all living beings and their speech, foundation of temples and their thresholds, cardinal directions and metres. 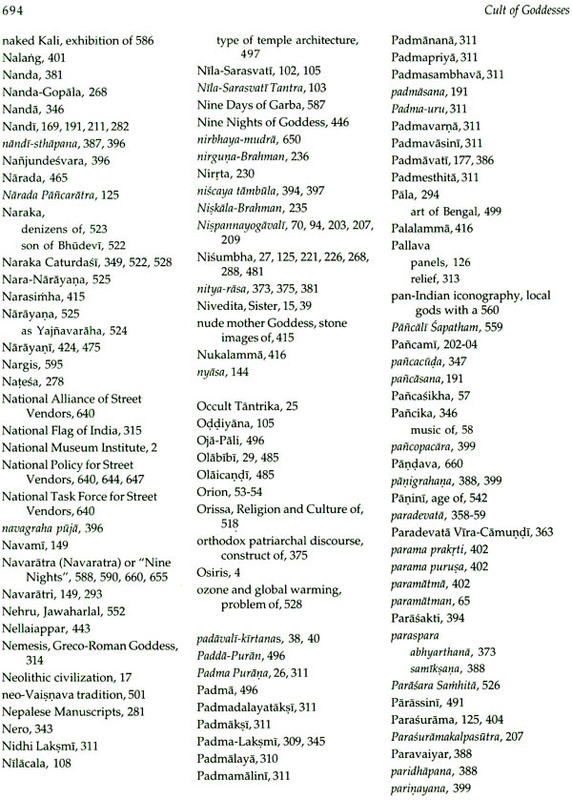 As, varahi, she goes through myriad mutations and names in various Tantras, and migrates across the boundaries of faiths (Haripriya Rangarajan, Bharany, Lokesh Chandra, Balan Nambiar, Nagaswamy). The Mother Goddess cult has been harnessed as a bivalent instrument, to terrorize and impregnate, to separate and unite, to bridge and divide, to offer eternal communion or perpetual dissension. 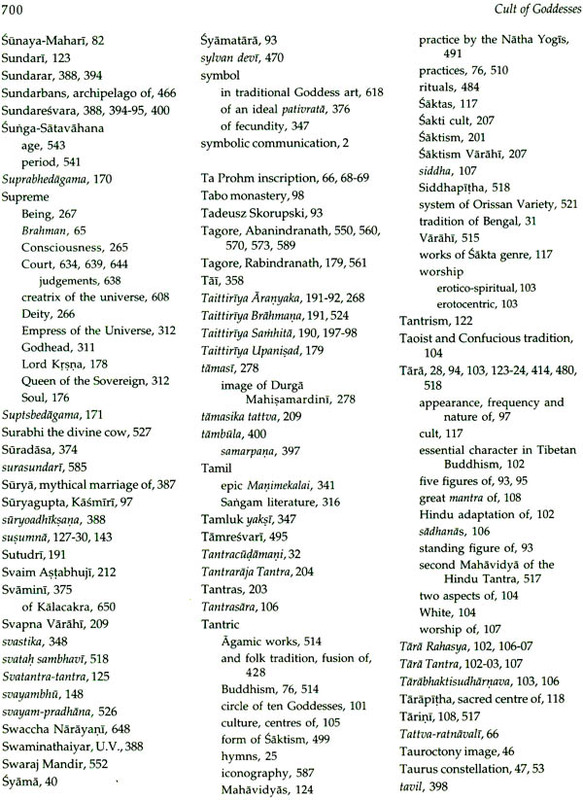 As Astabhayatrana Tara at Sumstek, Ladakh, she kills eight kinds of fears. 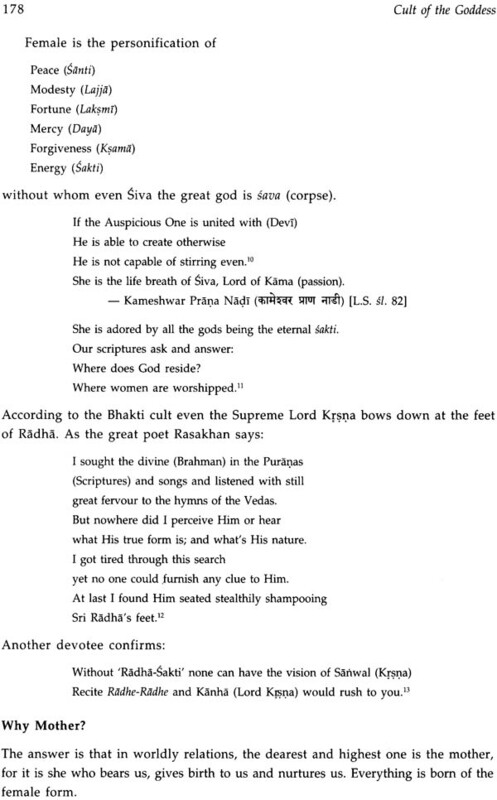 As Dasamahavidya, she frightens Siva into permitting Sati to attend Daksa's sacrifice. She is both Raktacamunda and Sakambhari the lightning that kills, and the soft, gentle rain that renews. As Bhudevi, she holds sasya and osadhipatras, pots of herbs and medicines, and a lotus, and epitomizes bounty and fertility. As Salabhanjika, she engages in udvana krida, the garden sport of breaking the sata twig, and quickens vegetation to sprout and flower into vibrant life. 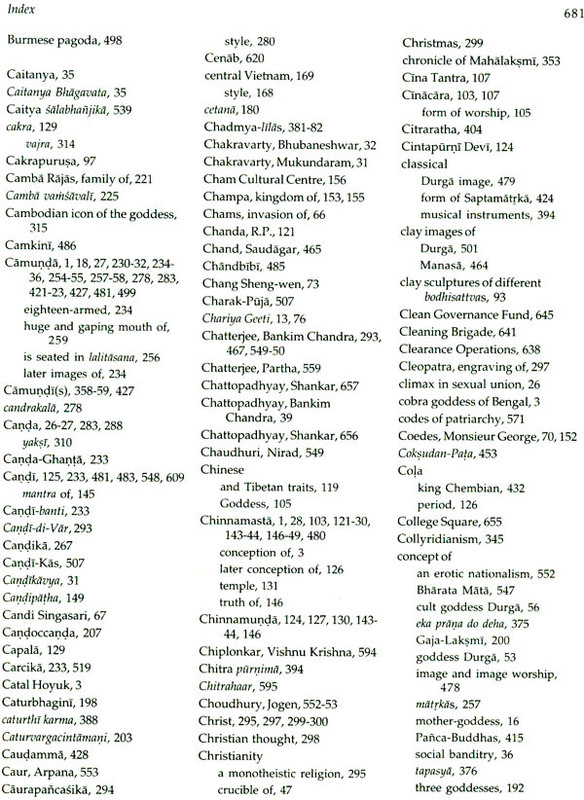 As Camunda, she has her ablutions in rivers of wine, sports in lakes of blood, pleasure grounds in cemeteries. 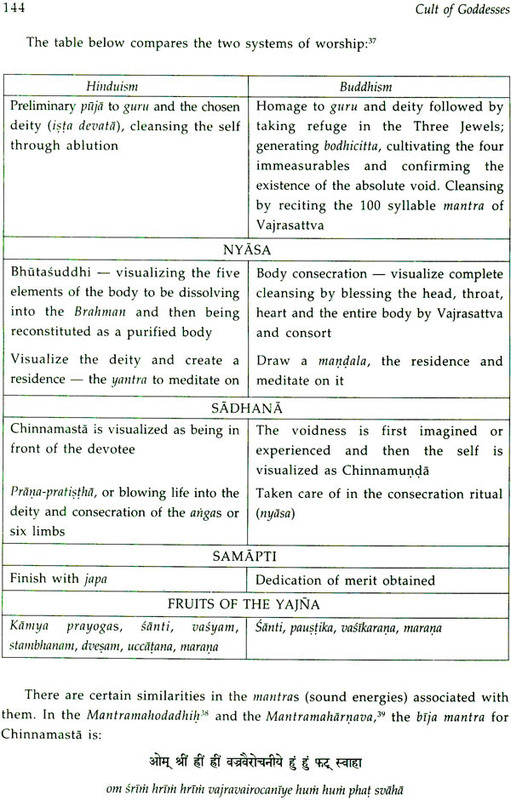 At the same time, she is also Girija, Minaksi, Daksayani in celestial celebrations of auspicious occasions like marriage, kalya1J.otsavas (Yashaswini Chandra, Rita Sridhar, Alka Pande, Nagarch, Donaldson, Choodamani Nandagopal). 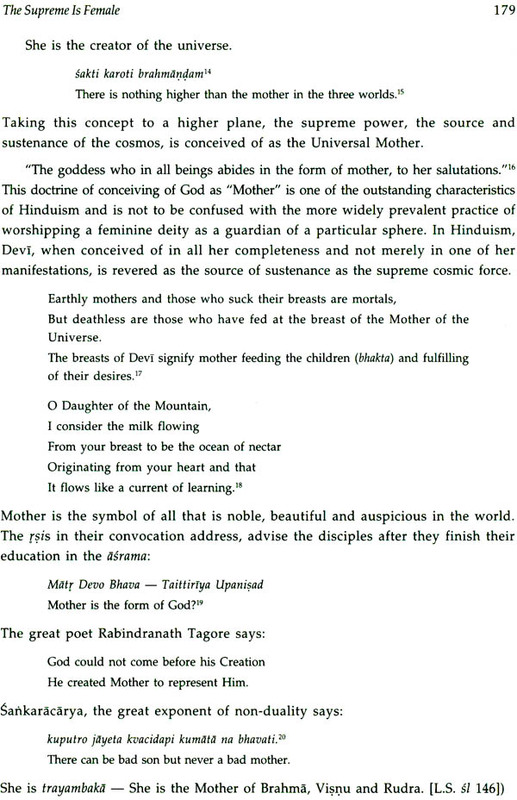 The Mother Goddess does not discriminate, in showering her grace, between the noble, ignoble or humble. 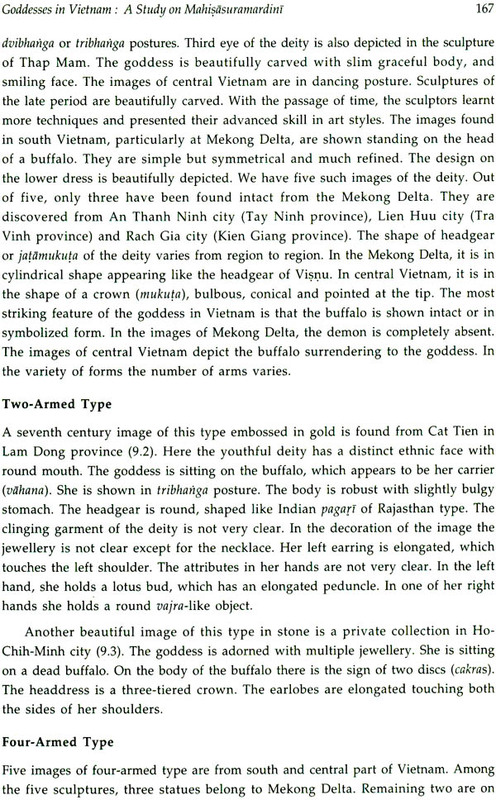 She endows kings like Jayavarman VII in South-East Asia with dhi, sruti, smrti, vijaya, intelligence, knowledge, heard and remembered, and victory. 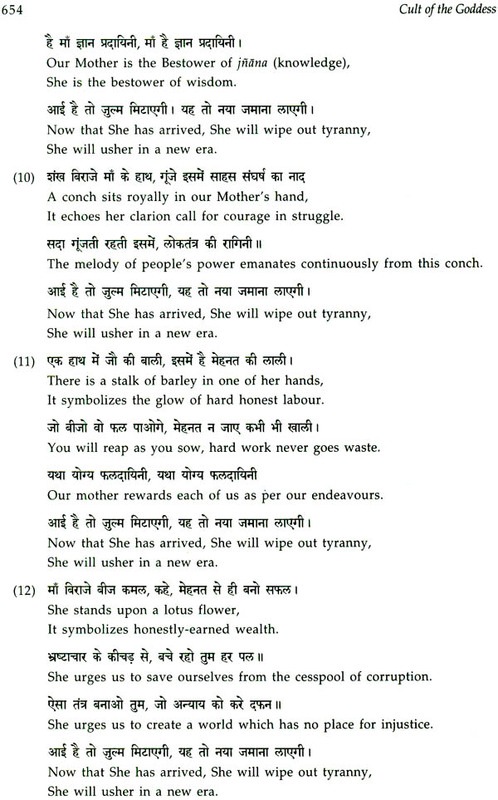 She sanctifies the authority of Malayadhvaja Pandya as Minaksi, his daughter. 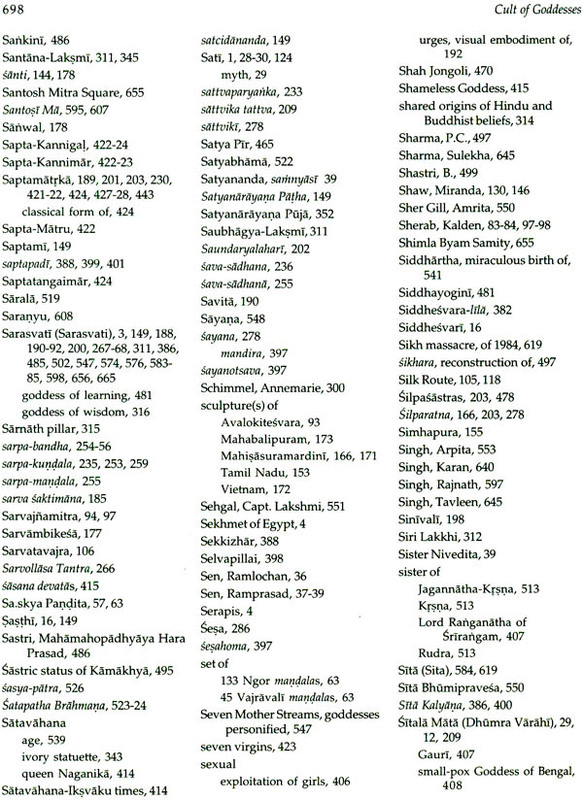 She empowers king Meruvarman and his successors in Camba and Bharmour as Laksana Sakti, Mahisamardini. 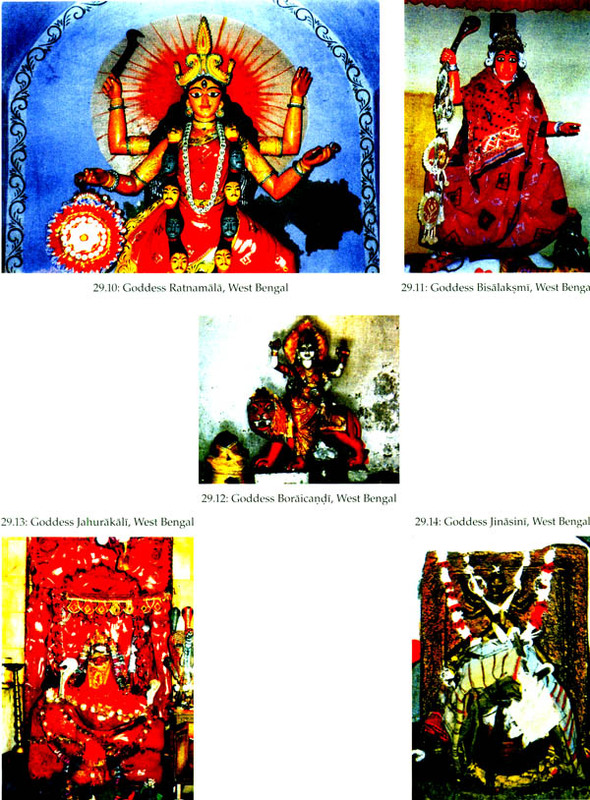 She is Goddess Amba, Ambalika and Stambhesvari to Bhuinyahs, and Keonjhar and Bhanj rajas of Orissa. As Olaicandi, Olabibi, Dhelaicandi, Nagasiru, Jinasini, Bedovasini, Kurdasini, Sitala, Bisalaksmi, Jahurakali, she is the patron Goddess to Baul singers and honey collectors, fishermen and boatmen, Mauli, Bagdi, Lohar, Hari tribes, who live at the fringe of society and believe in ophiolatry. 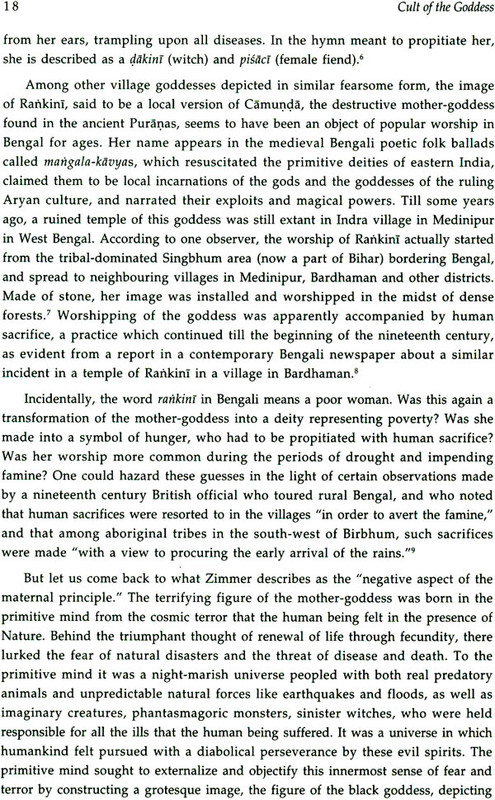 She has presided over Biyahgoa, Maregoa, Ojapali, Kechai Khata - Mother Goddess cults for Deodhani female Shamans and human flesh eaters among older Chutiya tribals in Assam. As Bonabibi, she serves jnanis and jaqiras in Sunderbans in West Bengal and banishes the scourge of tigers. 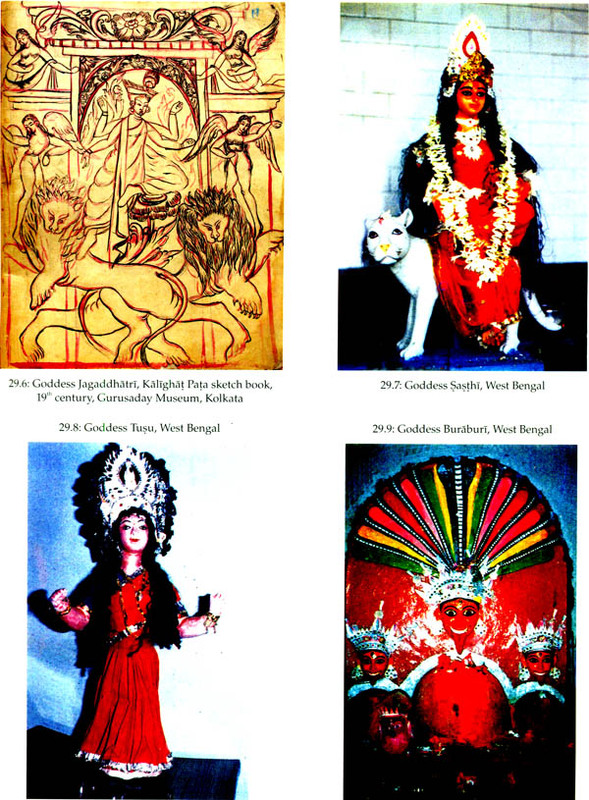 She acts as the gramadevata, protective guardian of the villages, in the Sammakkha Salaramma Jathara, Medaram Goddess cults, and, as Pidari Amman, Kali Pidari, Bhadrakali Amman, among groups like the Nadars. 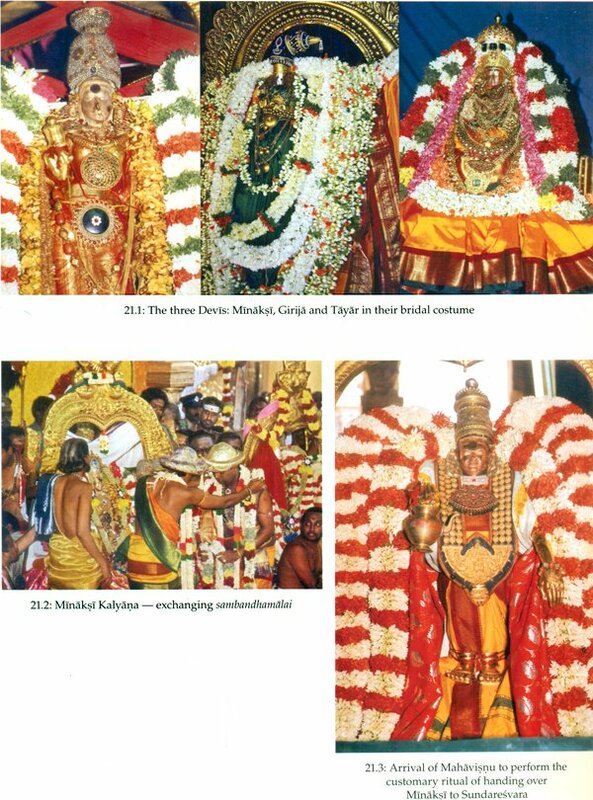 As Renuka, Vellamma, Yogamma and Hadiyamma, she is adored as the presiding deity for initiation into sacred prostitution of temple devadasis, jogathis and venkatasanis in Kamataka. She has functioned as Cittesvari Kali and Dakait Kali to dacoits and thugs in West Bengal. 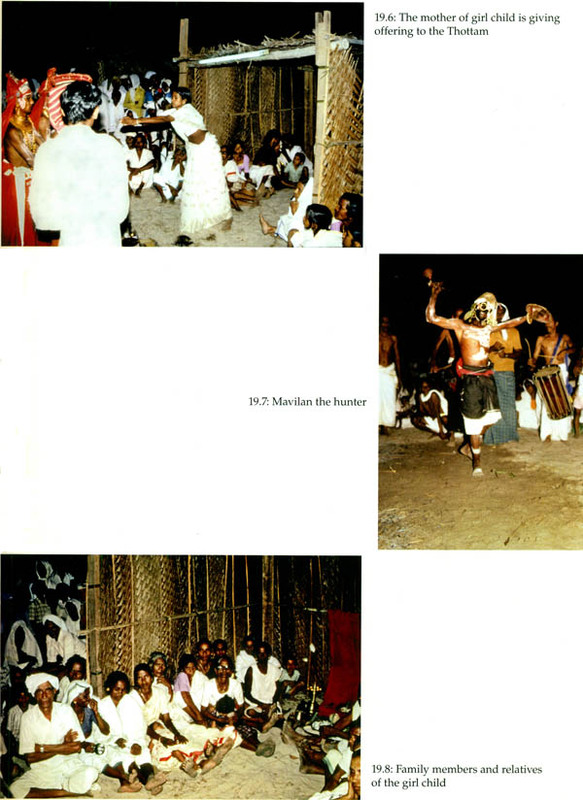 As Manasa, she sends forth Behula on a frail banana leaf bark, to defy death (Seema Bawa, Asis Chakrabarti, Datta, Kedareswari, Kamat, Simon John, Banerjee, ArputhaRani Sengupta, Gurupada Chitrakar). The Mother Goddess has served as the vehicle for uniting the phenomenal and the noumenal. 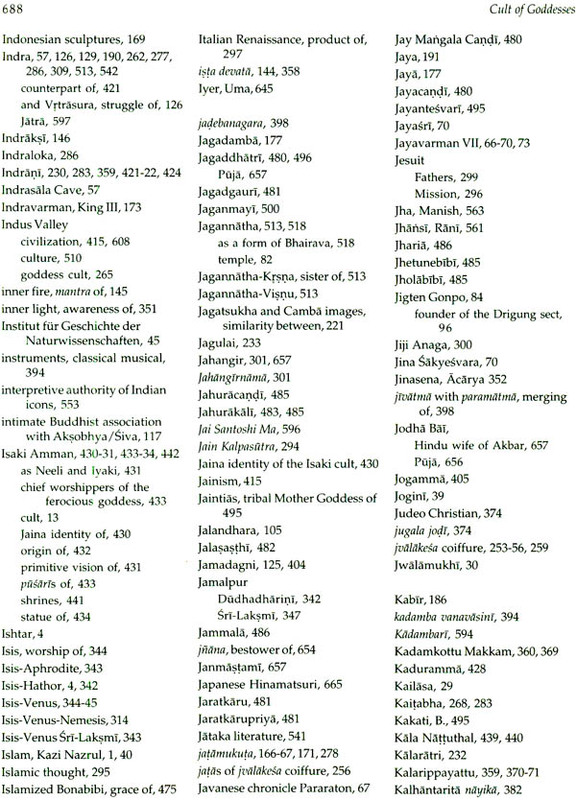 Prajna has combined with upaya and karuna, wisdom with method, in Buddhism. 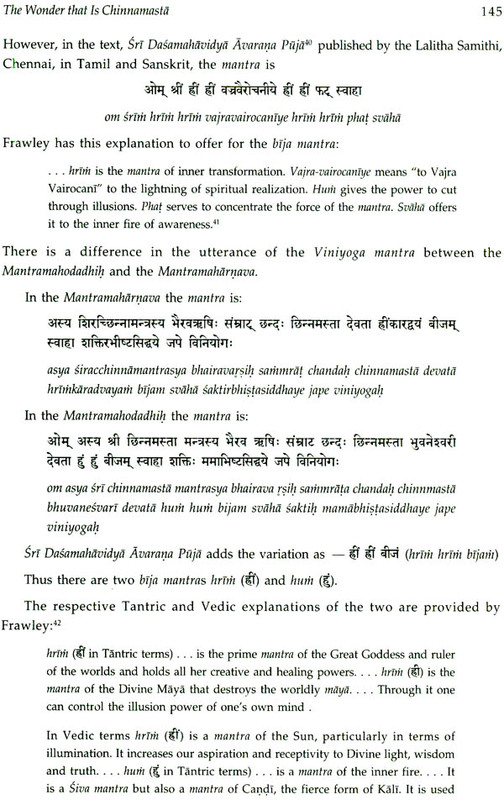 In Cariyagiti, the coiled serpent of Sabara becomes one with Nairamani in Dari in sunya, the void. 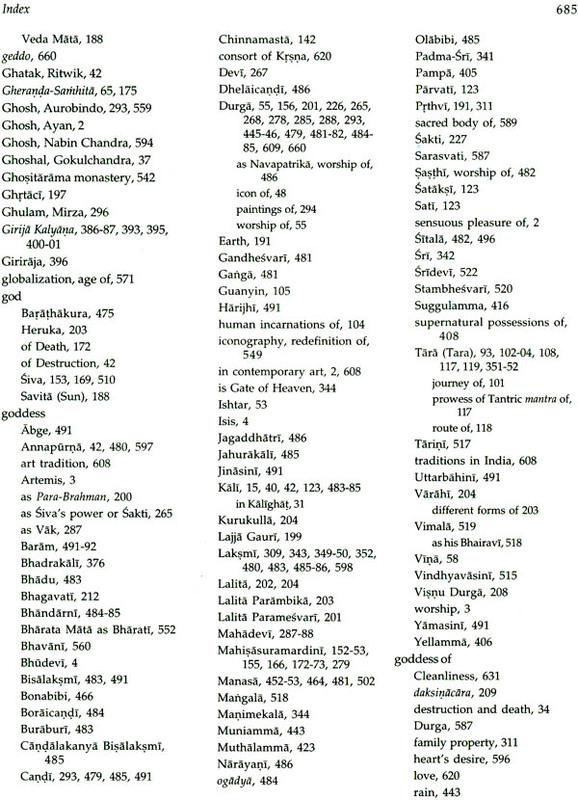 The blood ejected from the trunk of Chinnamasta, who chops off her own head, surges through three streams, arteries, nadis, rudragranthis, in a consummation of life cycle, in atmayajna, self-immolation. Radha performs nityarasa and uta, of svakiya and parakiya love, within and outside norms, and enacts union with Krsna, from day to day, and, forever and ever. 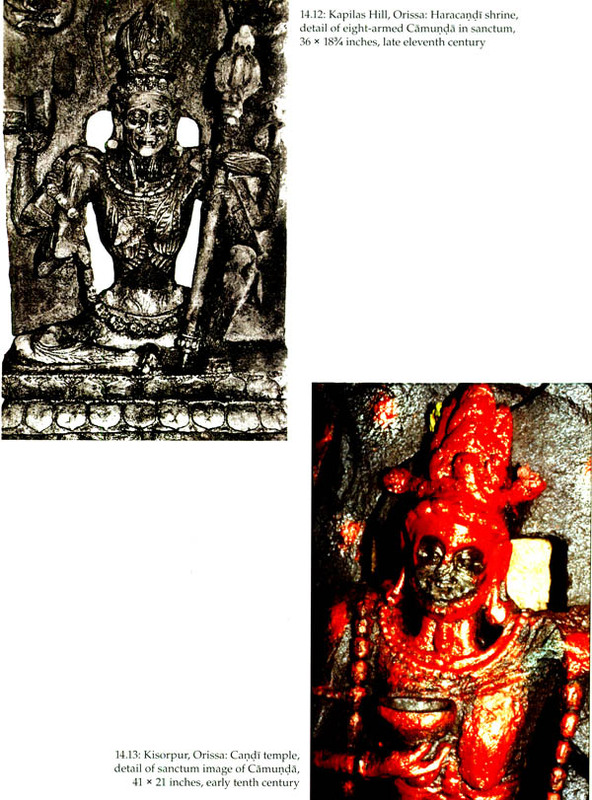 As Manisa, varahi, or Pothrini, she is Ajna Cakresvari, consort of Agni seated between eyebrows. 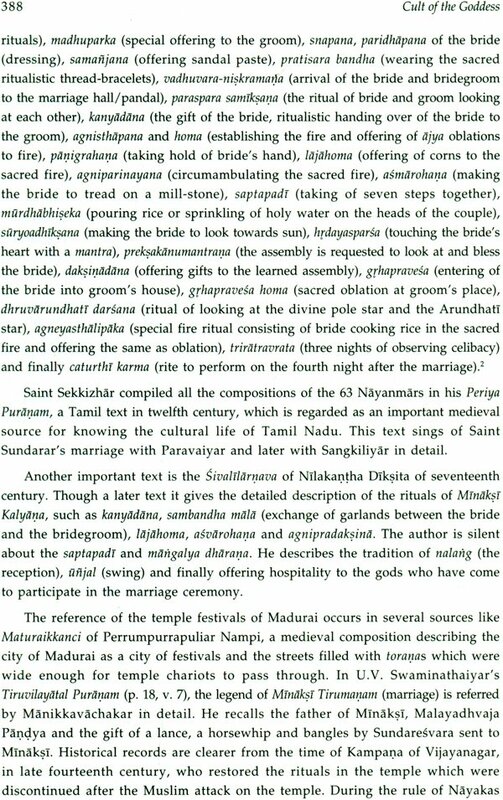 The marriage of Girija is celebrated with Srikanthesvara, of Minaksi with Sundaresvara, of Parasakti with Parasiva, in Kalyanamandapam in Tamil Nadu, and, of Pampa and Virupaksa, in Vijayanagaram in Karnataka. 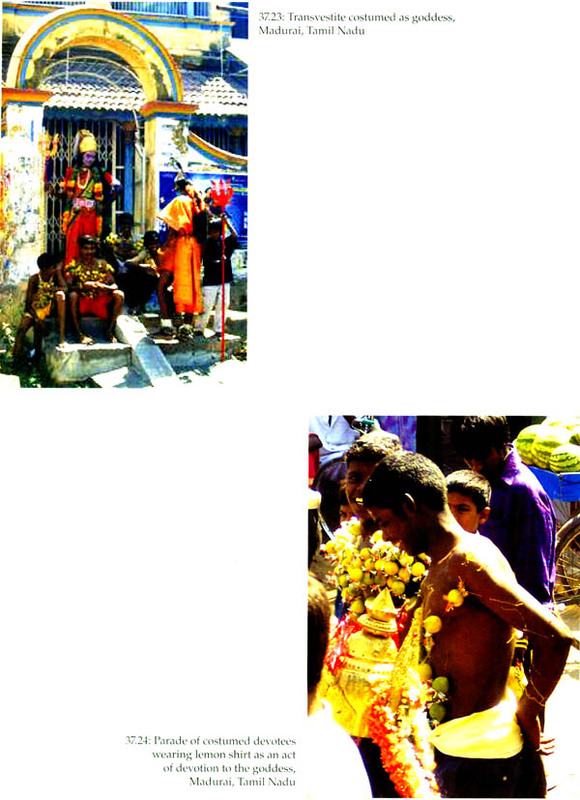 The divine couples have their human counterparts among the marginalized jogappas and jogathrs, male and female prostitutes. The relationship of Bonabibi and Daksina Roy in Sundarbans is a mutually dependent, reinforcive relationship of incessant hostility. 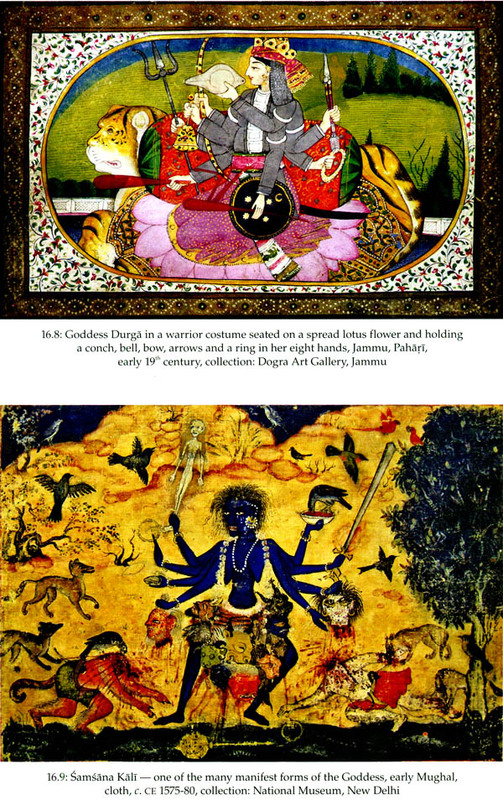 The Varaha mithuna is depicted on yupastambha to paralyse enemies into pillars (Sonal Mansingh, Sridhar, Pallavi Sharma, Nandagopal, Kamat, Donaldson). 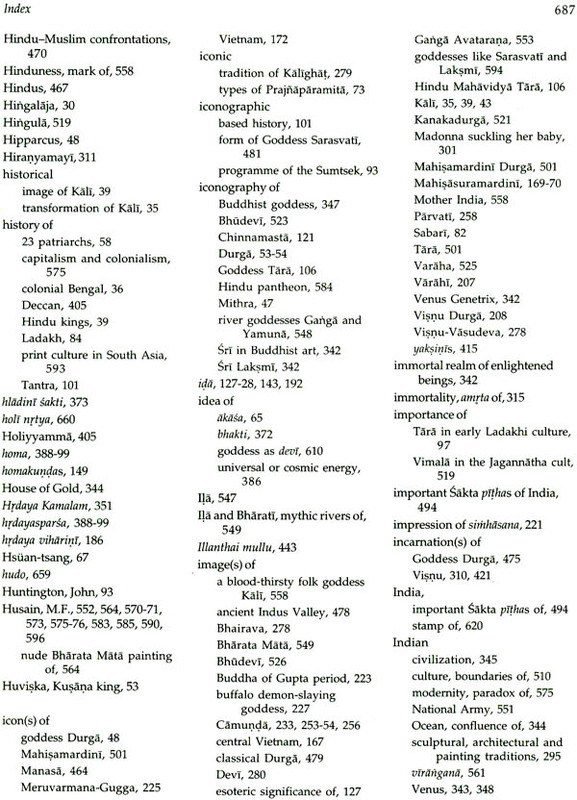 The Mother Goddess has travelled in literary, iconographic, narrative, stylistic and ritual forms, changing name and shape, from region to region, from time to time, across Asia and Europe. She has undergone metamorphoses in her travels through Ladakh, Tibet and East Asia as Ugra, Ekajata, Mahacina, Nila Sarasvati and Tara. Her iconographic attributes have undergone changes in Malayo Polynesian versions of Mahisasuramardini in South-East Asia, specially in Vietnam and Cambodia. She has assumed different names in West Asia, with a lion or bull vehicle, as Nana in Babylon, Anahita in Persia, Ishtar in Assyria, Rhea and Athena in Greece, and Ommo in Kusana coins. Some of the sixteen vidyas have been transformed into musical goddesses in Tun Huang paintings. Basawan, the painter in Akbar's atelier, has transformed Madonna into allegorical, surrogate Mother Goddess figures, and substituted several vanishing points for the single vanishing point of European art, introducing a perspectival shift. The Roman-Teutonic-Celtic version of the Virgin Mother, representing wisdom, justice and queenly splendour in early Christian centuries have become our ladies of perpetual help, good health and happy voyage in India, in a fusion of Portuguese, Jesuit and local cults (Yashaswini Chandra, Madhu Khanna, Bachchan Kumar, Lokesh Chandra, Ursula Weekes). India is the last refuge of the Great Goddess where the multiplicity of the goddesses and the innumerable ways in which worshippers invoke her divine grace are awesome. 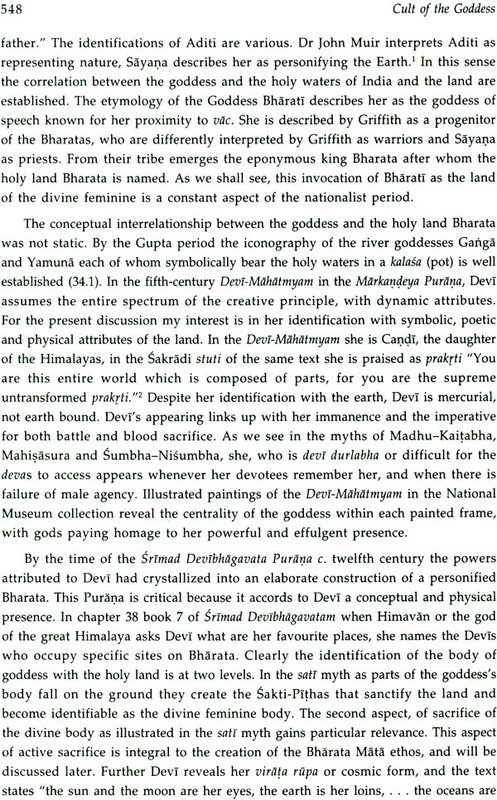 As we seek the divine female in the innermost essence of bindu we probably will arrive in the presence of Kali for the fearsome goddess is identified with several other female deities: Durga, Uma, Parvati, Bhadrakali, Bhairavi, Bhavani. 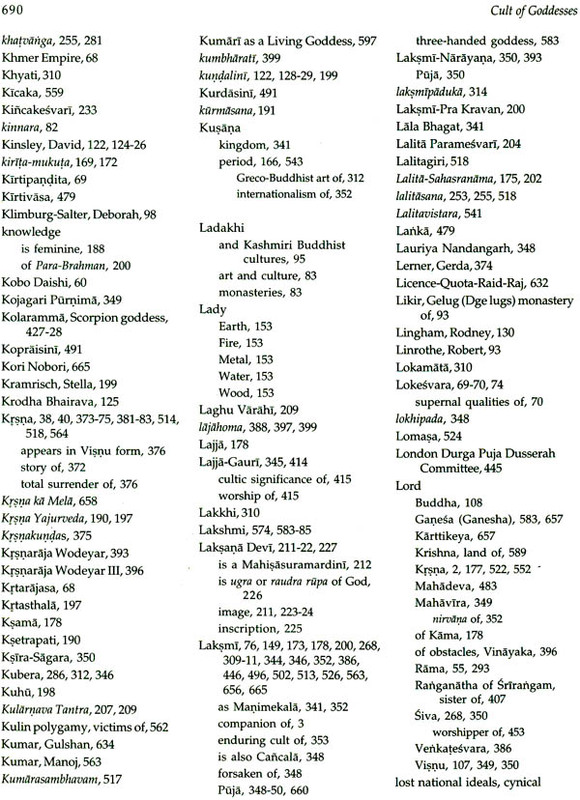 Sati, Rudrani, Chinnamasta, Camunda, Kamaksi or Kamakhya, Minaksi, Himavati, Kumari, Tara and others. Kali is a goddess with a complex history that is presented invariably as dark and violent due probably to her incarnation as force of annihilation of evil. 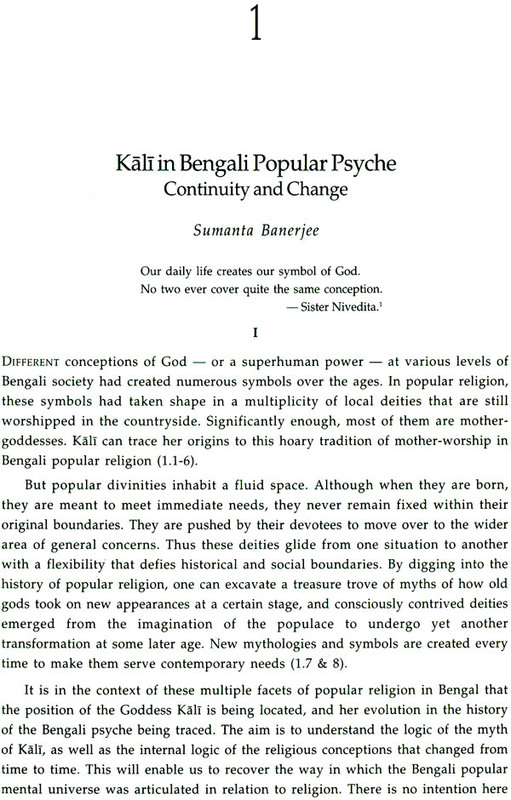 More recent devotional movement seeks Kali Ma as a benevolent mother. 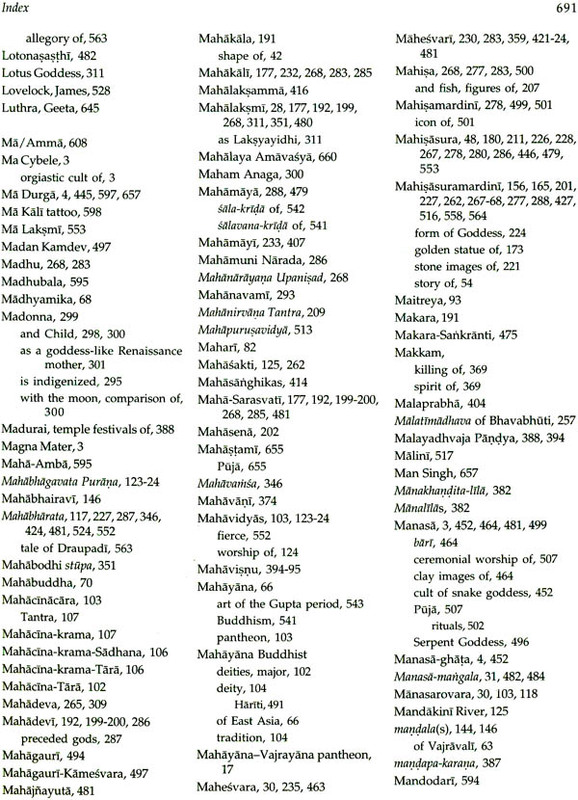 The Tantras mention over thirty forms of Kali and extend her role as the Ultimate Reality (Brahman) and Source of Being. KalI worship takes place in a cremation ground where the worshipper, burnt of all worldly desires, seeks ultimate union with her.' 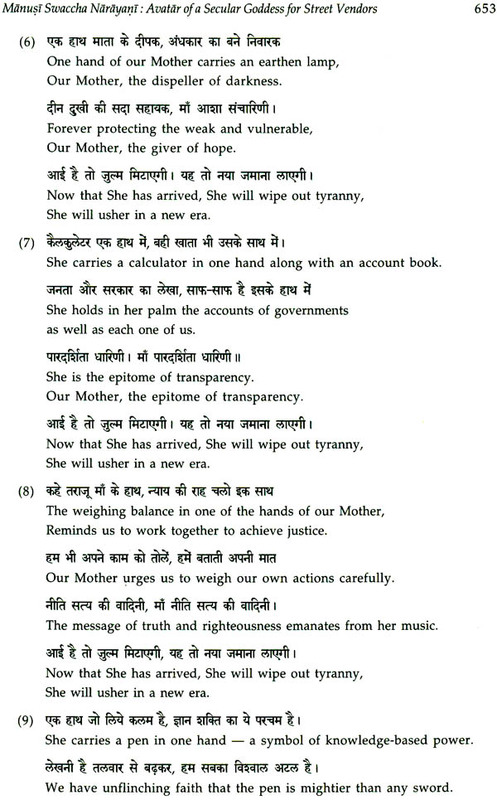 Kazi Nazrul Islam's original writing in Bengali is a unique devotional poem that plays on the word kali for ink, which is the name of the black goddess seen as universal mother. I dance and clap my hands. and in the ledger of the sky. Let them call me illiterate. 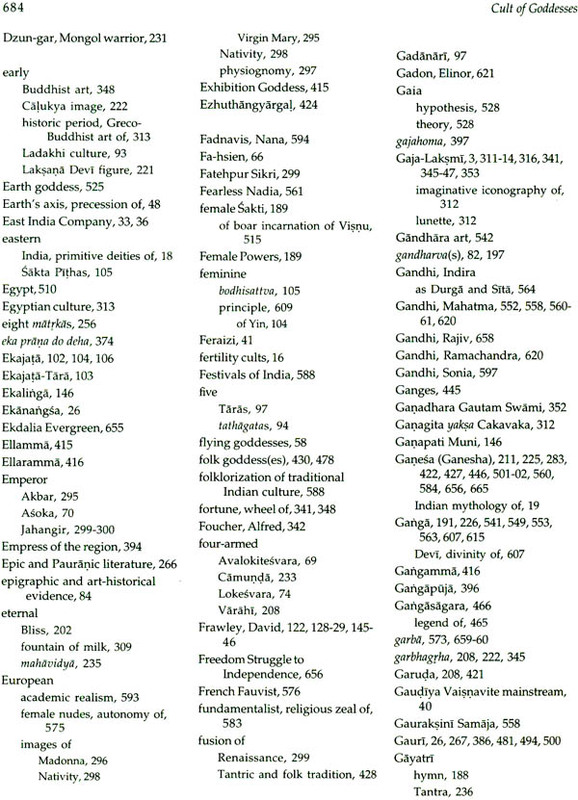 The goddess myth reflects extraordinary experiences, which include visionary and altered-state experiences. 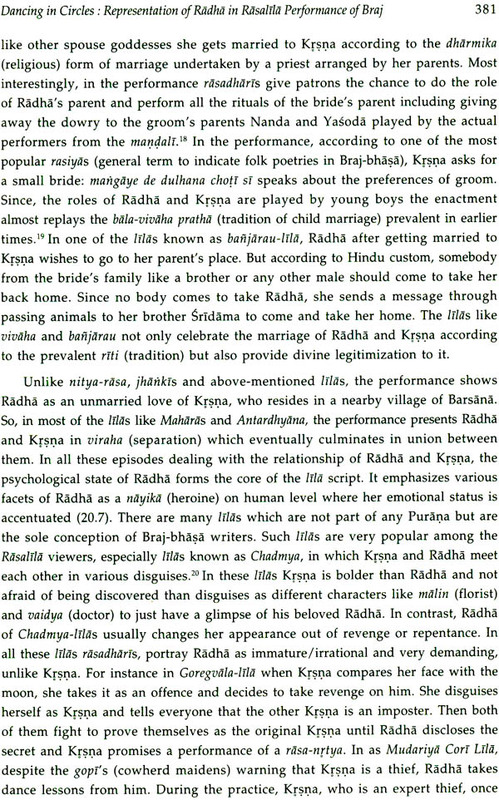 Such is the myth peculiar to Bengal in which Radha who was married to Ayan Ghosh, a devotee of Kali, secretly professed her love for Lord Krsna in the forest by night. Informed of their dalliance Ayan Ghosh stole one night to catch his wife in the arms of Krsna but instead saw his wife worshipping Kali. Lord Krsna had transformed himself into Kali to protect his beloved Radha (0.1). The symposium was intended to study the cult of the goddess and the perception of her disposition, which appears in the arts as beauty, power and wisdom. The delight in the Devi's qualities is connected to devotion tinged with awe, which expresses itself from fire-walking to drawing sacred images mapping the devotee's mystic union with her. 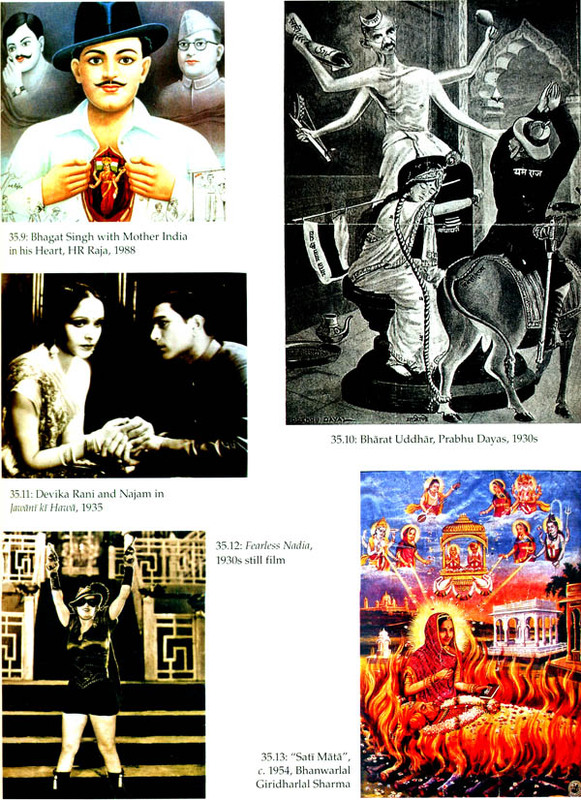 Even at present the artists in India are not averse to the magic of the sacred feminine, a justification for the realization of the goddess in contemporary art, which is unique to India. Thus the investigation of the goddess is a sign or indication of the enduring power of the cult and the apparent spiritual benefit, even if religion is not the main source. 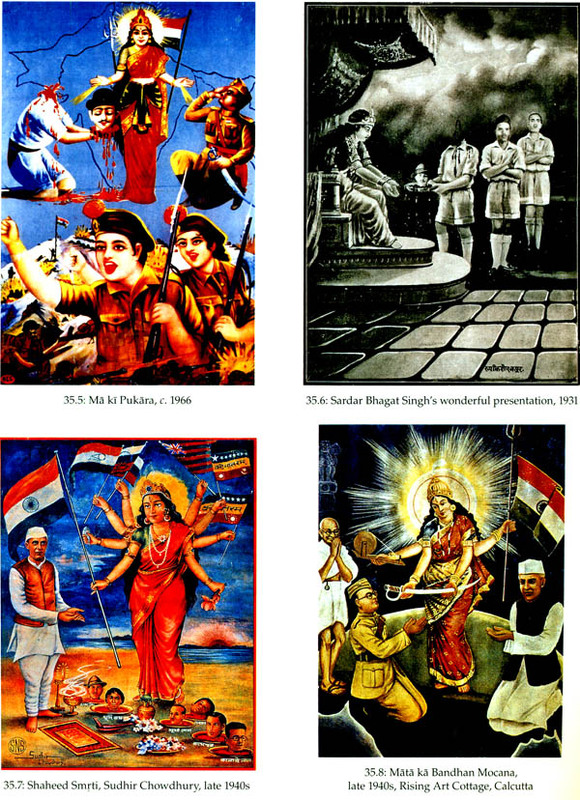 Religious art is the only human activity that can establish cosmic order in thought form or in iconography based on imagination, which is derived from human bonding with nature. Sri Laksmi as manifestation of nature's bounty is such that she is identified with the lotus, an ancient symbol of miraculous birth or rebirth. Sri conveys beauty, wisdom, knowledge and glory while goddess Laksmi grants prosperity, wealth, fertility or progeny. 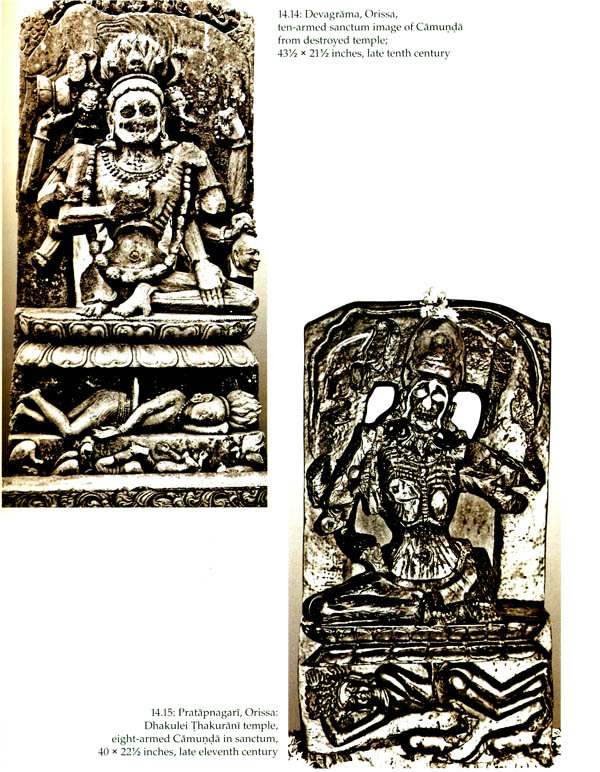 Gaja-Laksmi flanked by elephants is the earliest representation of Sri Laksmi on the gateways and balustrades of Buddhist stupas in Bharhut and Sanci (0.2). Sri is either seated or standing on lotus, which is generally placed in a vessel of fullness. 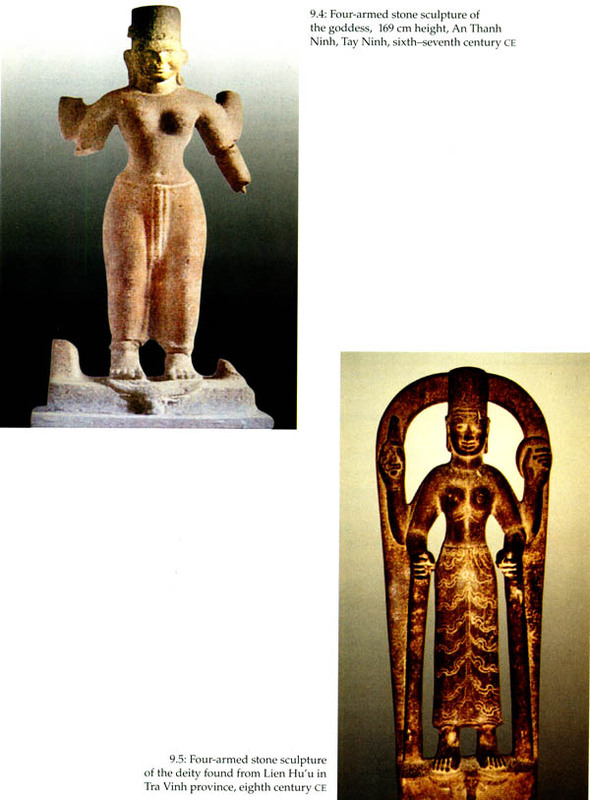 There exist numerous statuettes from the Neolithic period which stretches from 4500 to 3500 BCE as evidences of religious intent of the goddess even before writing was invented. 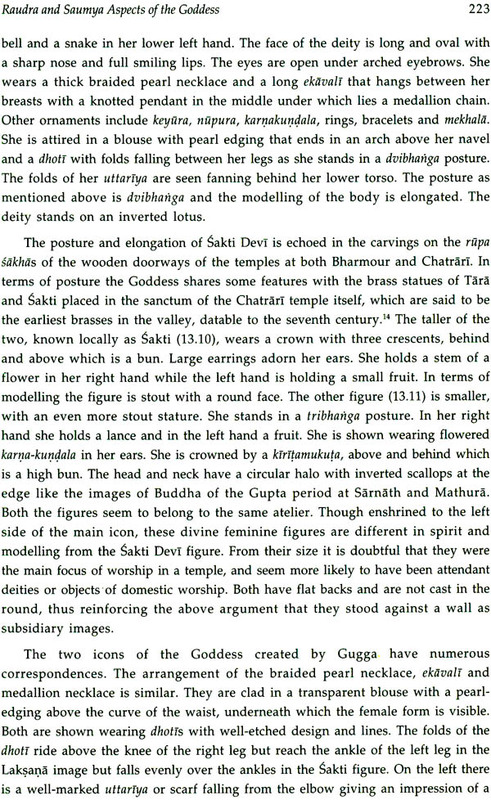 Some of the compelling evidence for goddess-worship is from ancient Anatolia, where archaeological remains in Catal Hoyuk in Turkey firmly date cult of the goddess to 7000 BCE (0.3). 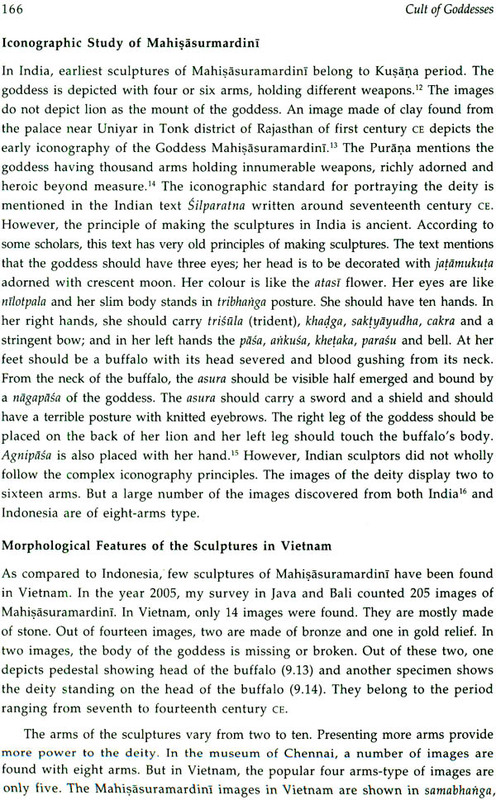 In the earliest depictions Ma Cybele as the exalted female power of heaven and earth is enthroned on a simhasana. Glorified later in Rome as Magna Mater she rides lions, a form that is familiar in India (0.4 & 5). 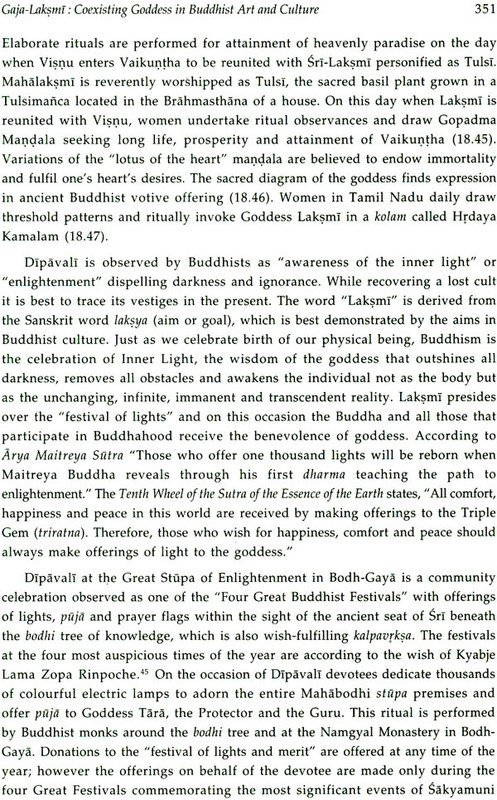 Priestesses and castrated male priests called Galli celebrated the orgiastic cult of Ma Cybele, which is similar to the cult of Yellamma in south India. 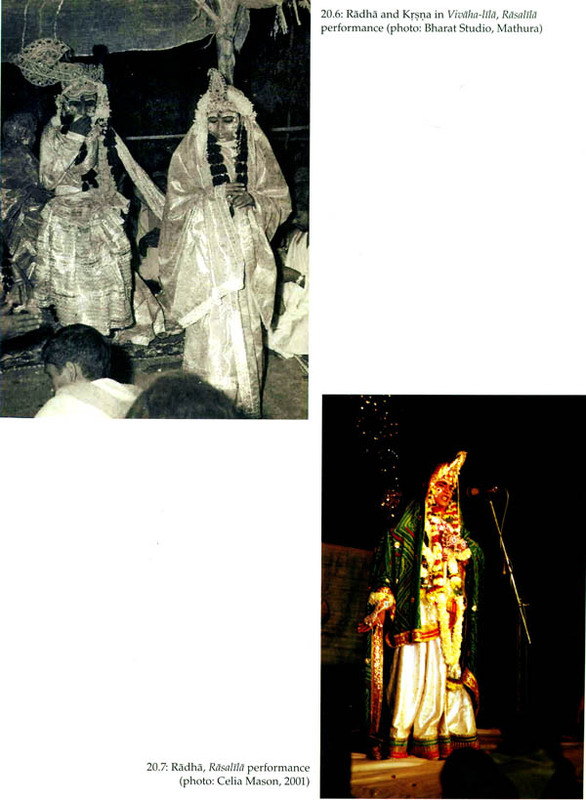 The unusual practices in the Yellamma cult demonstrate the love of her votaries who perform rituals in intense mystic state. 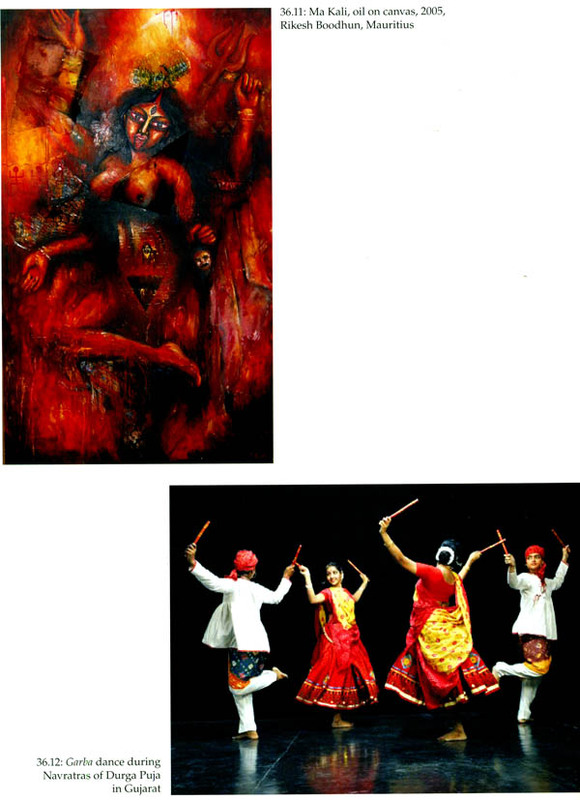 The metaphorical experience in the other-worldly theme of Yellamma, which is recounted by late Dr Kamat, is described as Dissociative Phenomena. 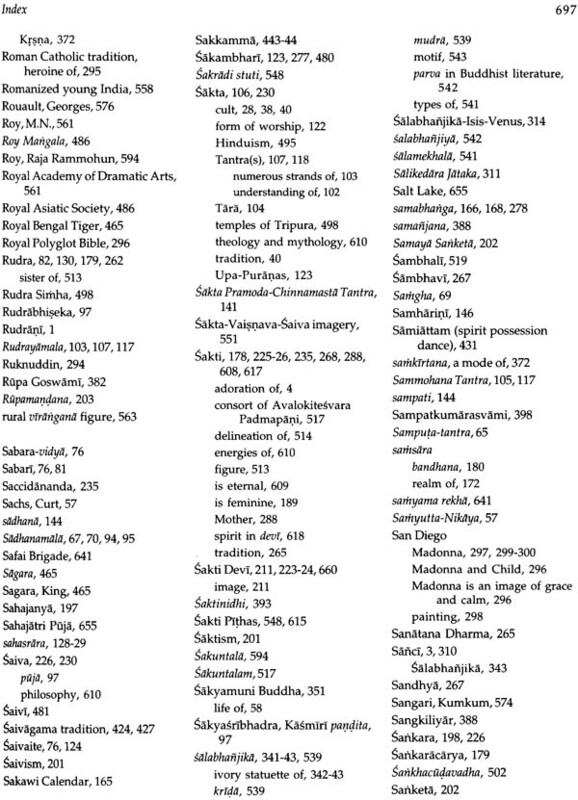 Many thematic categories of metaphorical descriptions have been used throughout history to describe dissociative-state sensations and experiences. In the Greek myth for instance the hunter Actaeon saw Goddess Artemis bathing naked, so she turned him into a stag and his own hunting dogs tore him to pieces. The Actaeon myth comprises the dissociative-state themes of seeing divinity (the higher or ultimate control-level), transgression of control-limits, transformation of oneself, mental searching, dissociative fragmentation of the mental body-image, and the death of the initial self-conception. 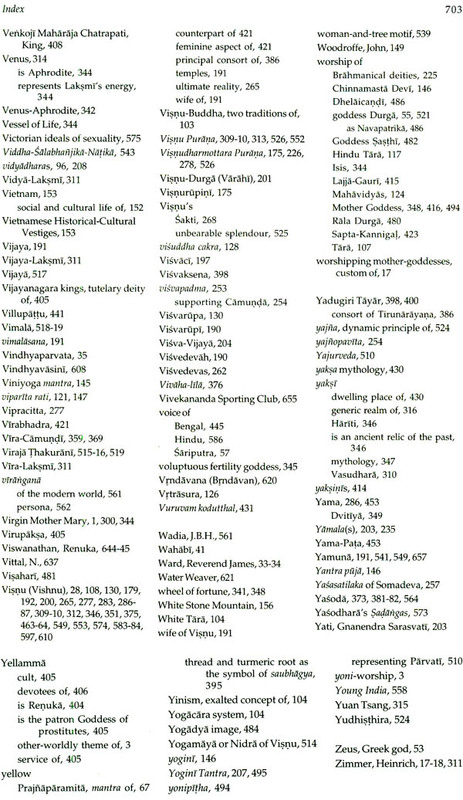 Similarly the yoni-worship by a secret sect called Vratyas in India and the conception of Chinnamasta among others demonstrate cognitive disintegration of the mental body image as dismemberment and the sensation of splitting into multiple isolated time-fragmented selves (0.6). In several instances the divine powers of the goddess as mistress of animals or as winged bird are concepts evidenced in art and mythology. The goddess as the Bird Mother with power to move swiftly even in the dark is conveyed by the owl of Athena, which is the companion of Goddess Laksmi in Bengal. 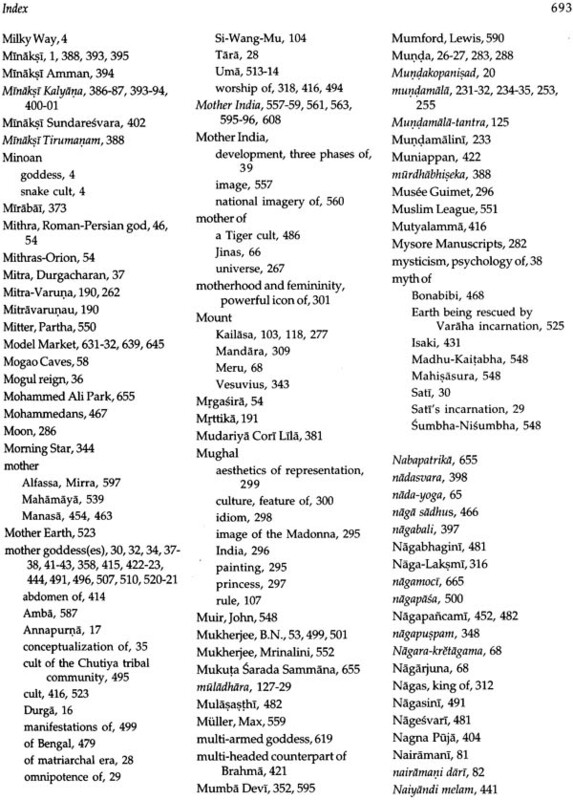 Besides the variety of birds such as the swan and peacock of Sarasvati, numerous animals are associated with the goddess, from the tiger goddess of Sundarbans to the donkey of the small-pox Devi Sitala. 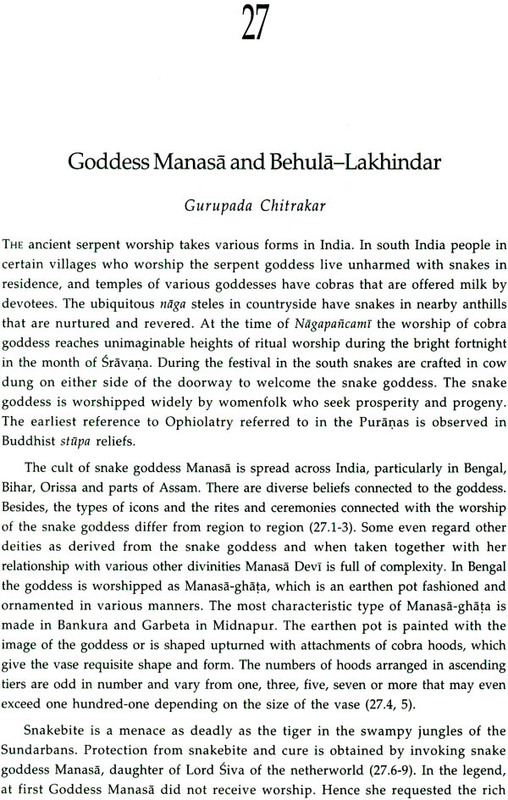 Manasa, the cobra goddess of Bengal, has universal appeal in India. We gain glimpse of Minoan snake cult in antiquity which is probably a priestess in ritual worship or the goddess herself holding snakes. In ancient Egypt the goddess frequently assumed the form of 'hooded cobra and was called Nagaheje or "She who rears" or the fierce "Eye of Ra." In a rare Roman stele both goddess Isis and her consort Osiris as Serapis are depicted as paired cobra (0.7). 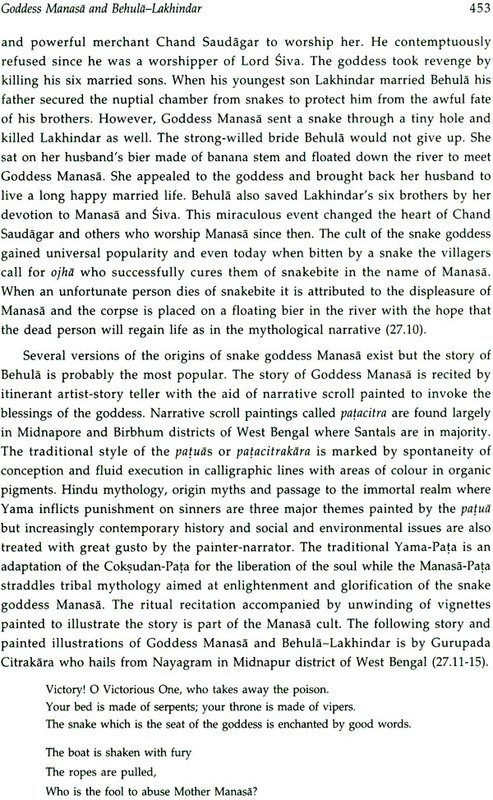 In Manasaghata the snake goddess represented summarily in anthropomorphic form holds snakes like the Minoan goddess. Above all as the source of light and energy the Great Goddess rides a lion and holds a mirror even in ancient times (0.8). The prototypical image of the goddess riding a lion is observed from Ishtar and Cybele of West Asia. 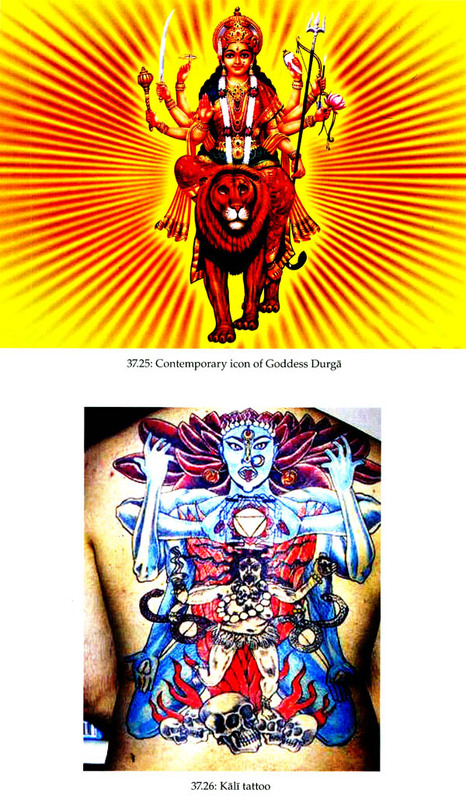 Sekhmet of Egypt invoked as the fiery eye of the sun god is the ultimate embodiment of elemental force in Ma Durga, invincible in the battlefield. The Neolithic images of the Great Goddess have many facets that are unchangeable. She is first of all the mother and could be shown in the posture of giving birth or nursing an infant. In the Book of the Dead the prototypical Isis is invoked as Mother of the gods, the One Who Is All, She who seeks shelter for the weak, Mistress of the House of Life, Isis of one thousand names, The Brilliant One in the Sky, The Light-giver of Heaven, Star of the Sea, Lady of the Words of Power and numerous others. Some scholars believe that Isis worship in the Roman times influenced Catholic veneration of Virgin Mary (0.9a, b). 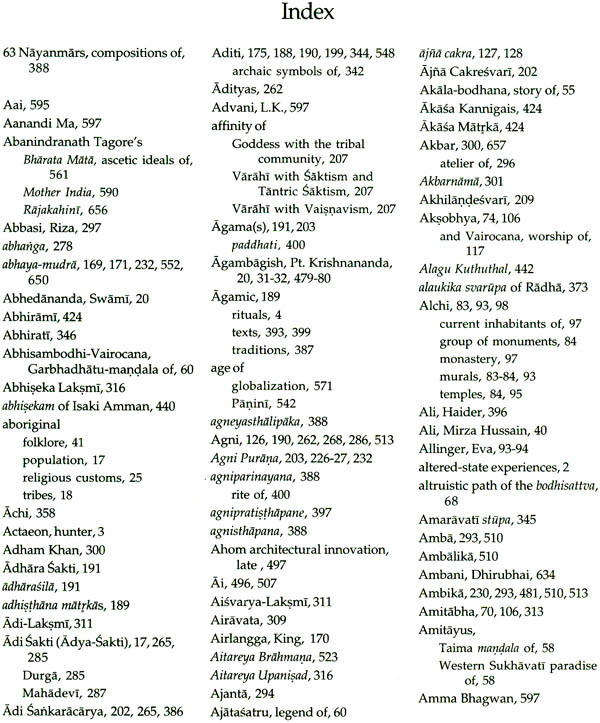 This type of investigation termed "archeomythology" embodies the fields of archaeology, comparative mythology and folklore, which has wide application in religious art and culture. For instance, the cow goddess Isis-Hathor called "The Great Flood" impinges on Kamadhenu in the Milky Way (0.10). As the Giver of Life, the goddess is the source of life. Invoked as "She who gives birth to heaven and earth" the cow goddess also symbolizes the moon and lunar cycle in the bull's horns and horns of other animals that identifies the goddess with omnipotence (0.11). 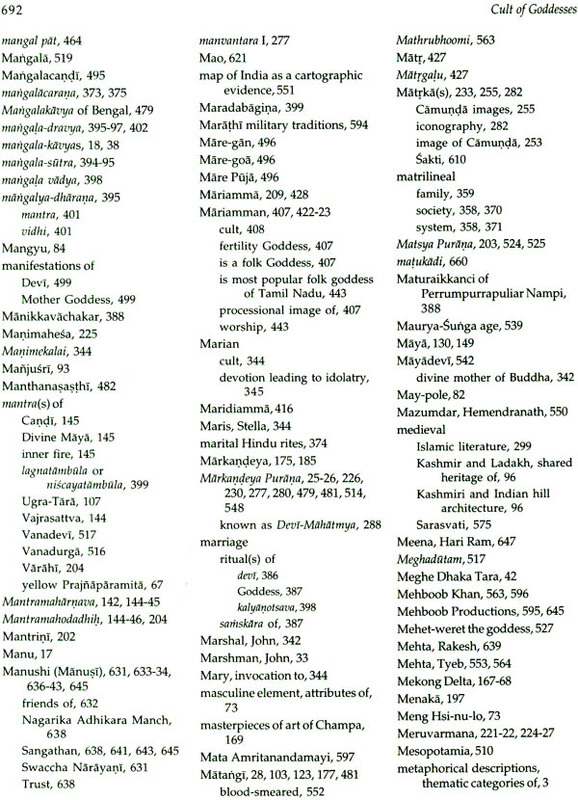 The goddess symbols may be divided into sub-systems according to the function of the goddess as Life-giving, Renewing and Eternal Earth, Death and Regeneration, or Energy and Unfolding.' 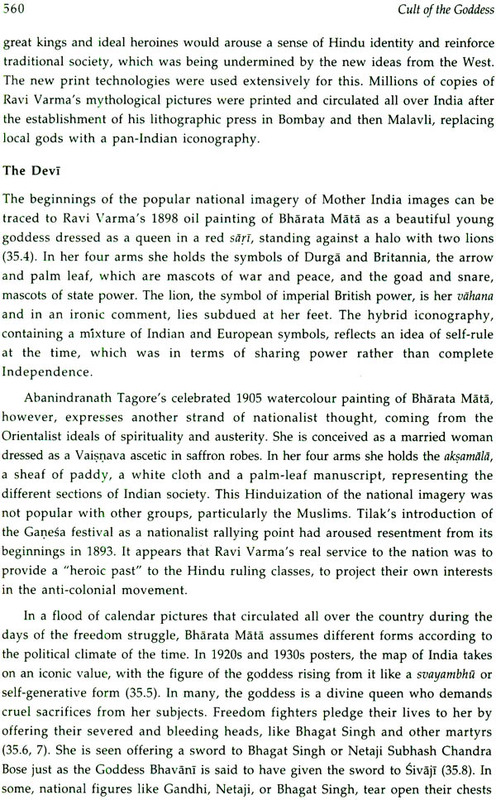 The Vedic term and hoparisati aptly describes the forgiving earth goddess Bhudevi who "Exist for her ignorant children." 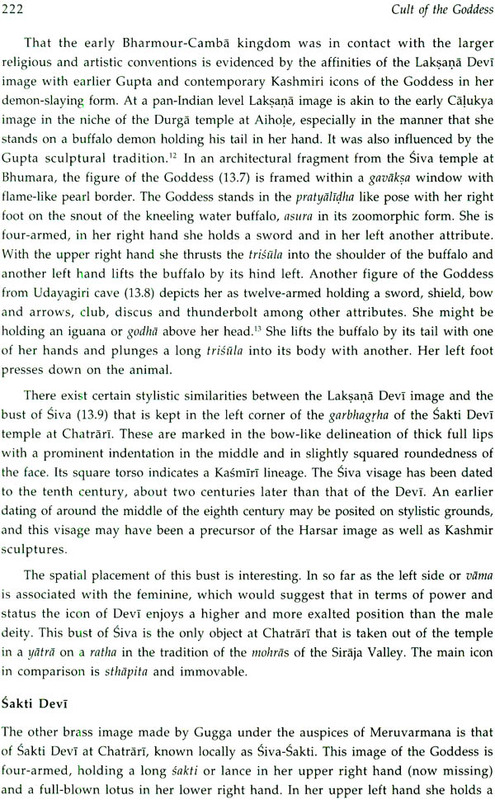 In the adoration of Sakti, the female principle, the esoteric Tantric visions of the ten Mahavidyas, one of whom cuts off her own head, is not so benign (0.12). 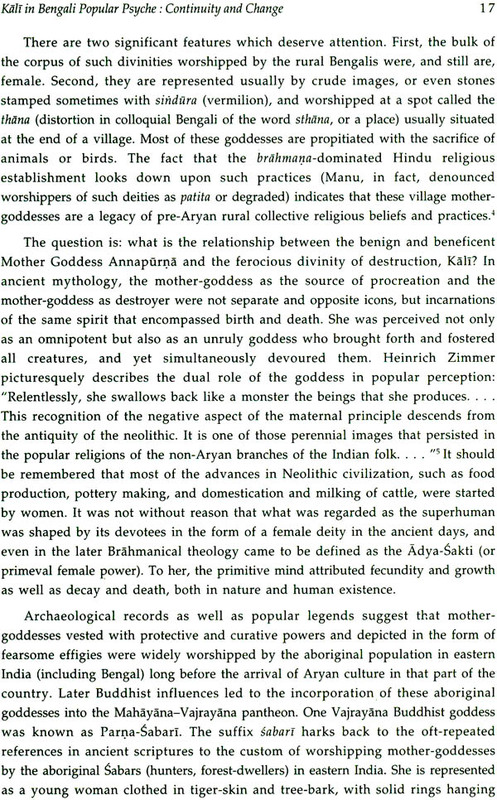 The worship of multiples of yoginas in womb-like secluded enclosures open to the skies have links with mysterious past having roots in folk practices such as human and animal sacrifice.